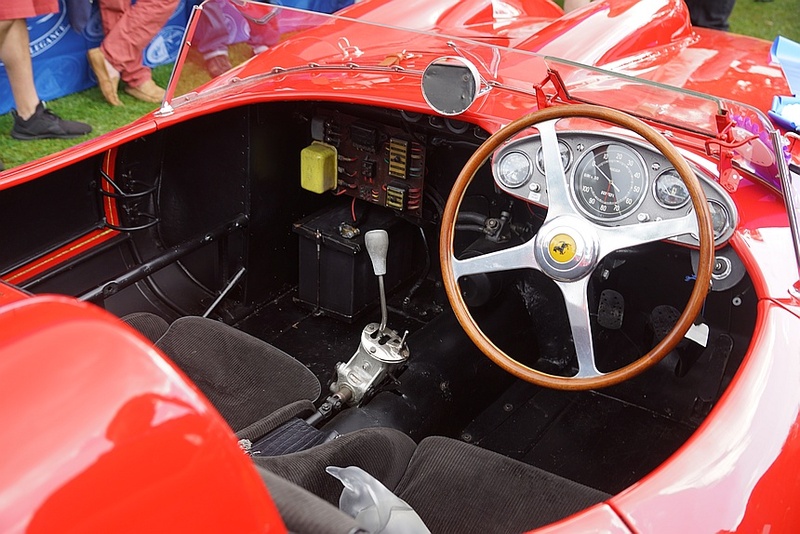 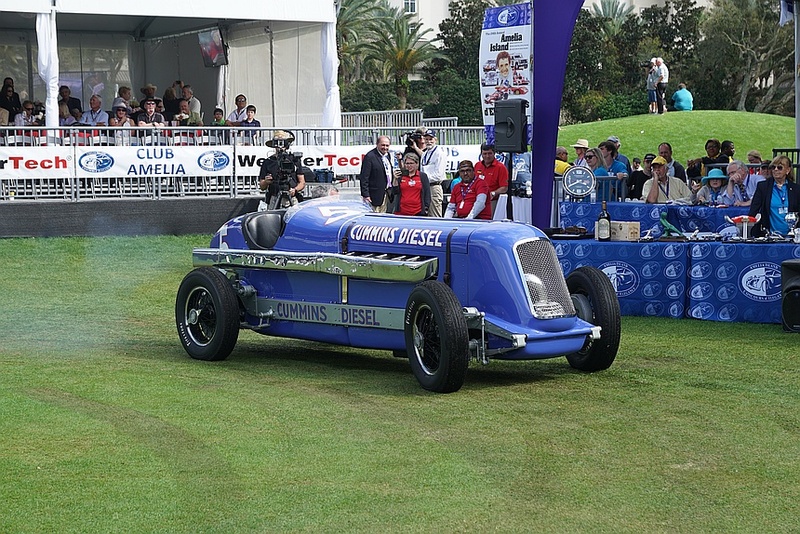 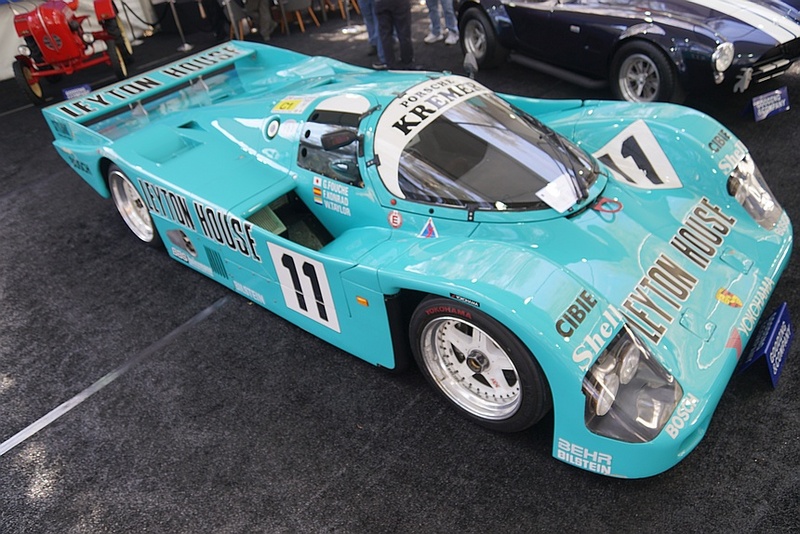 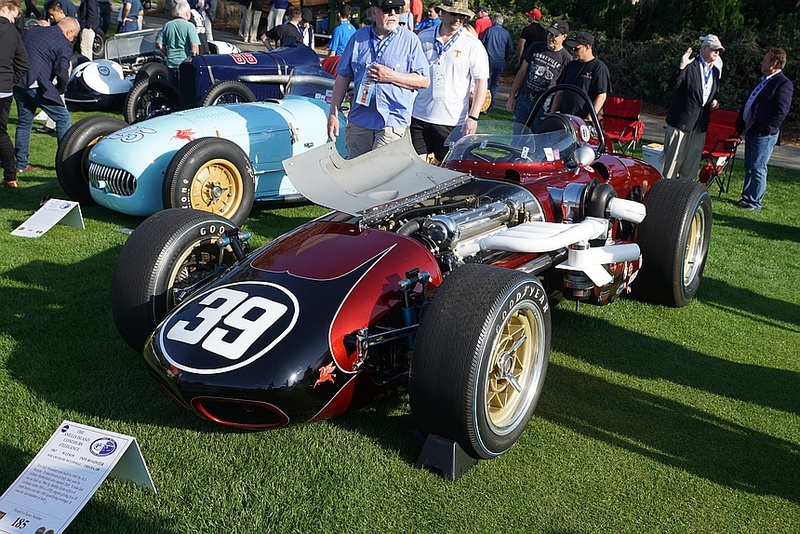 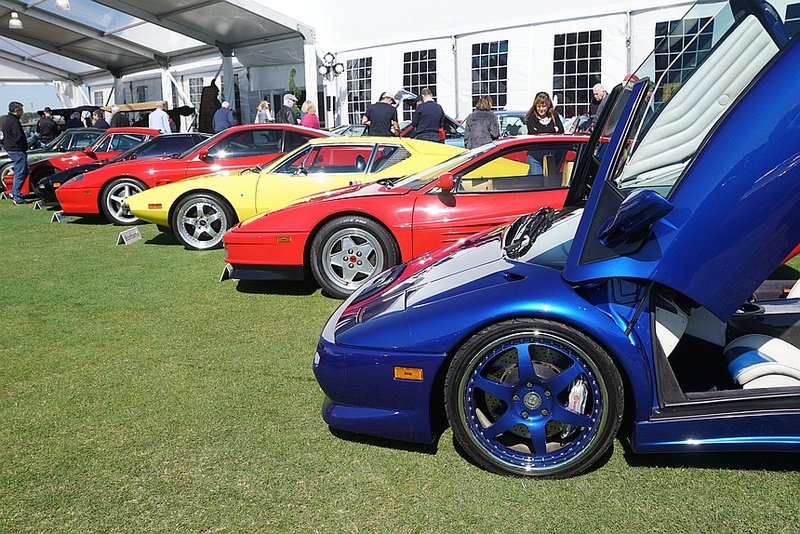 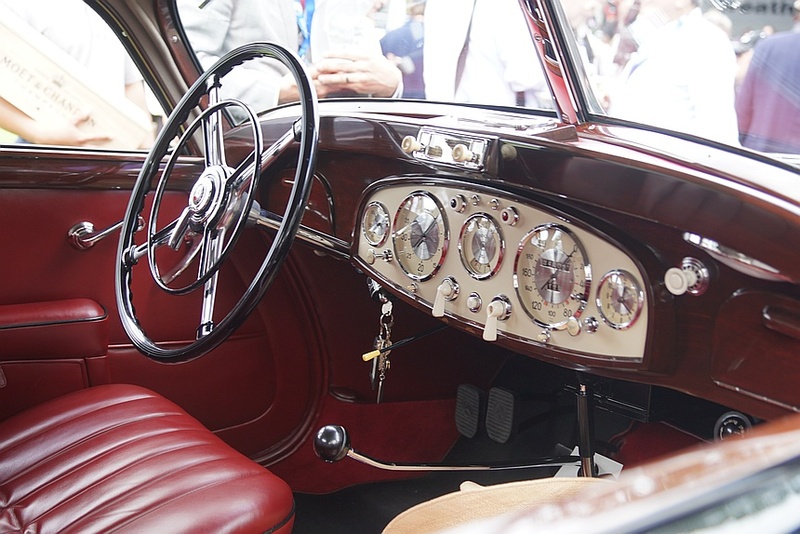 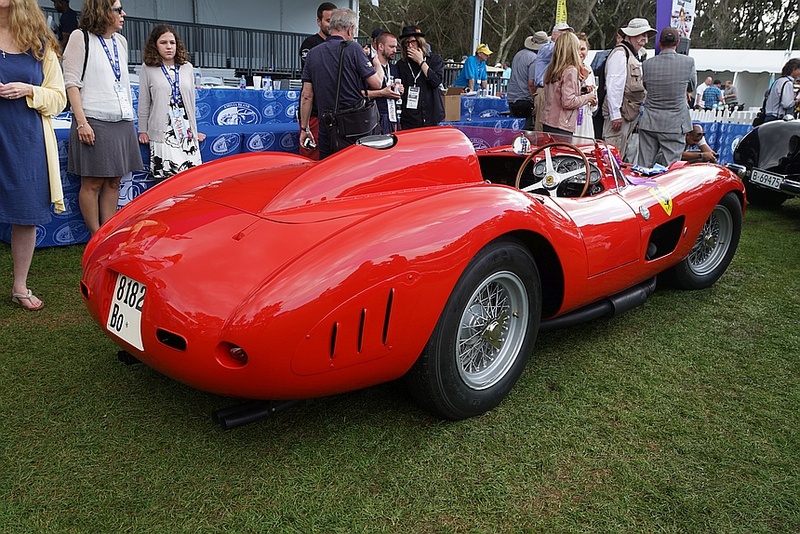 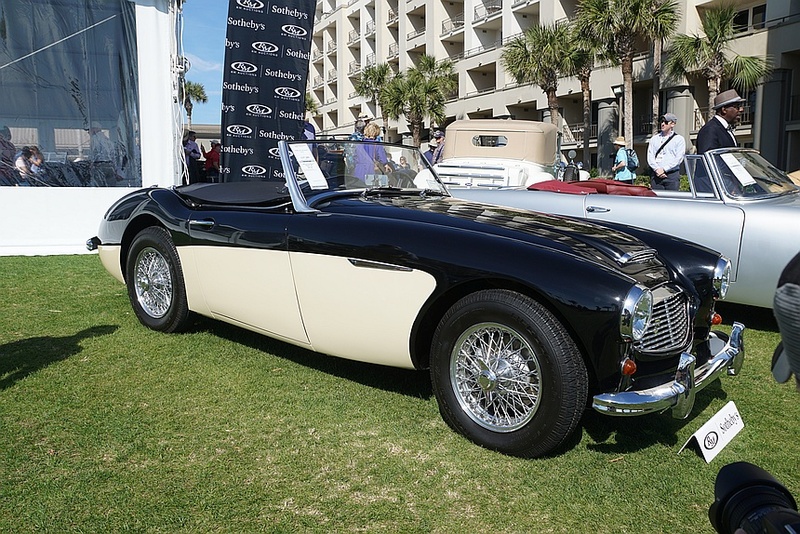 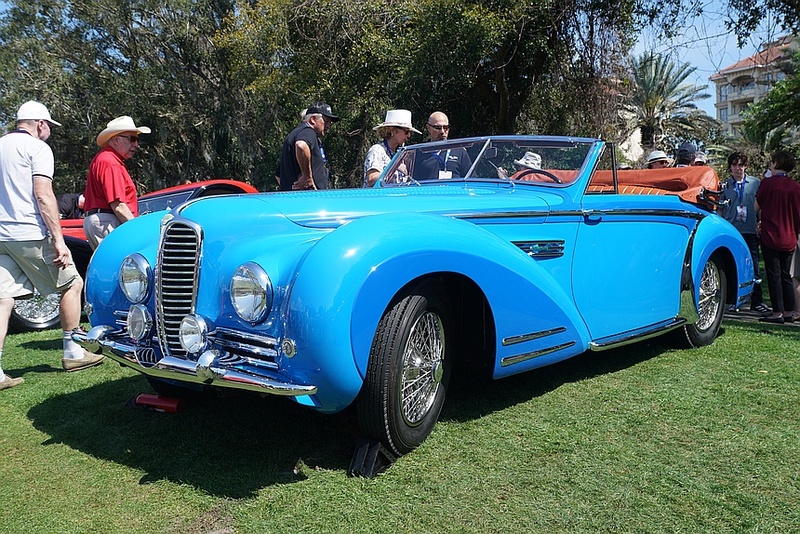 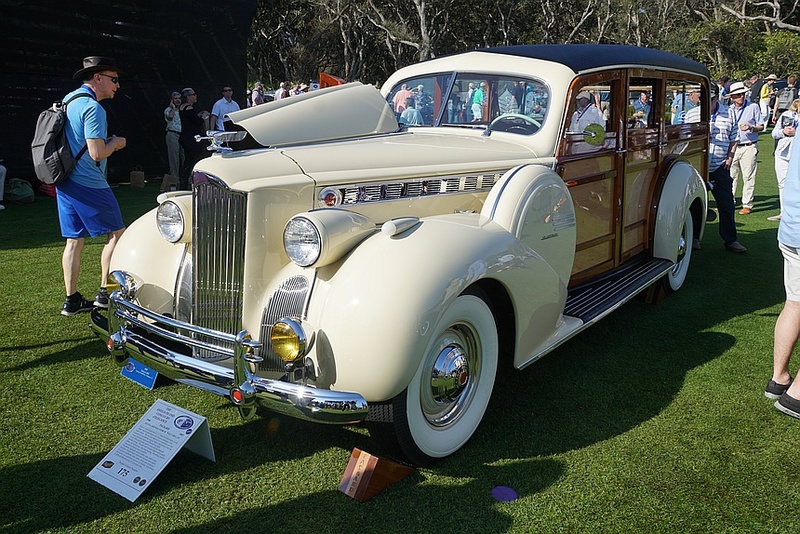 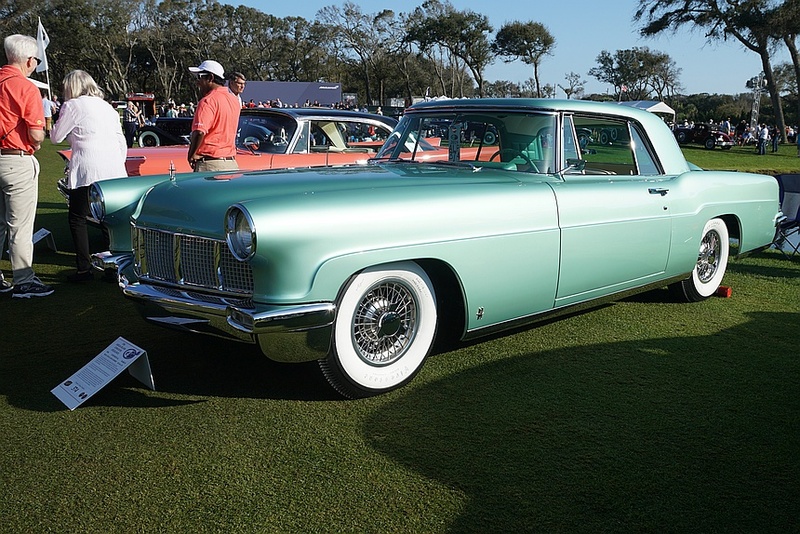 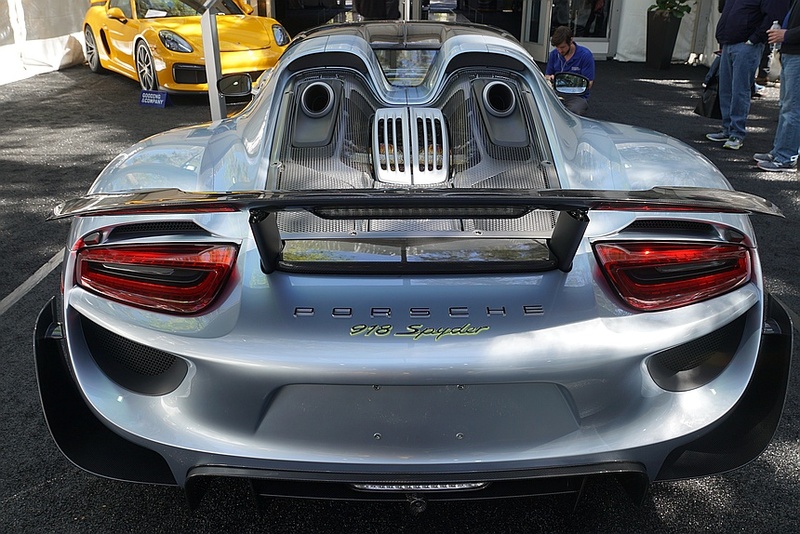 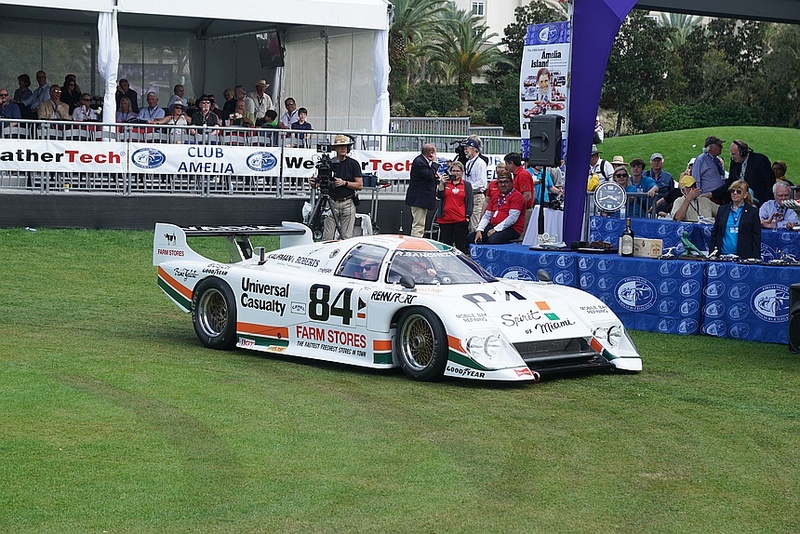 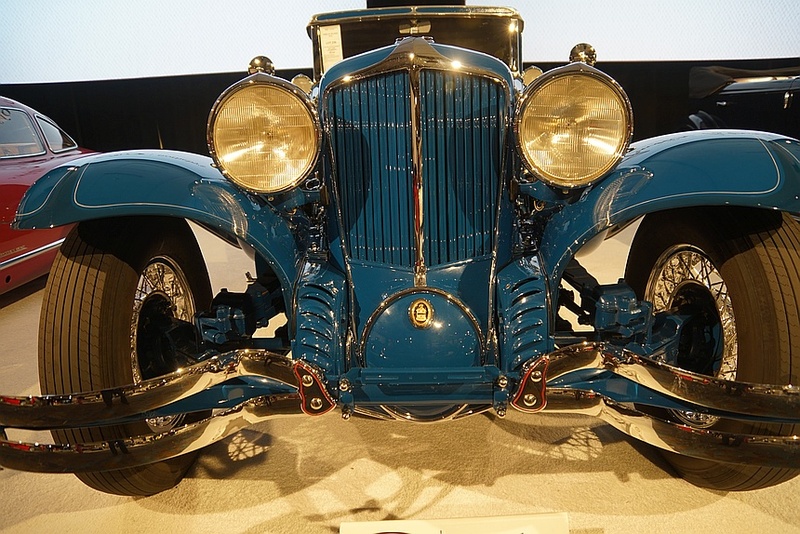 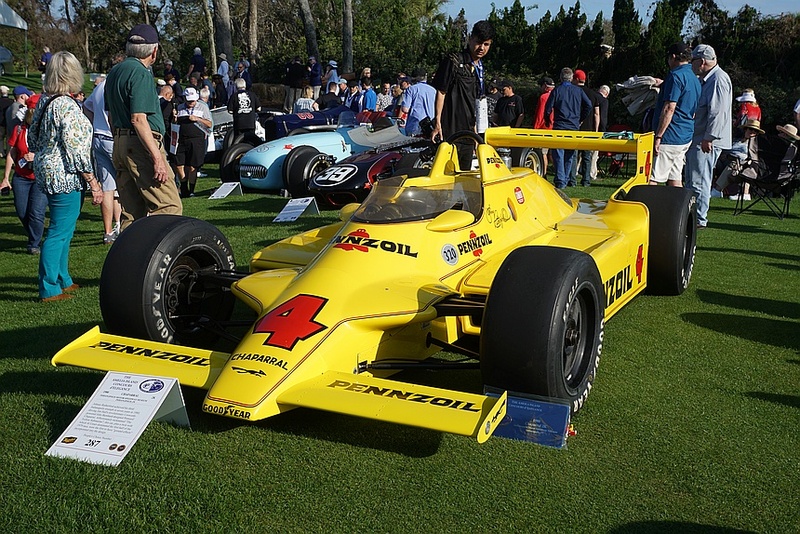 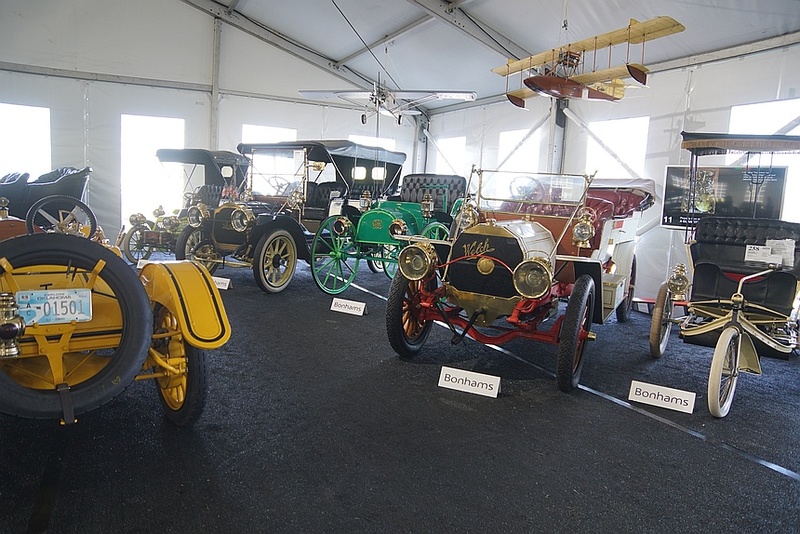 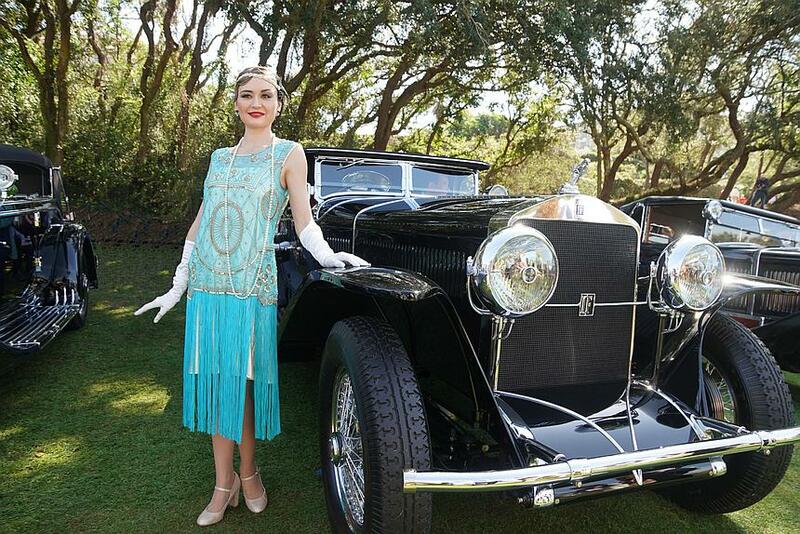 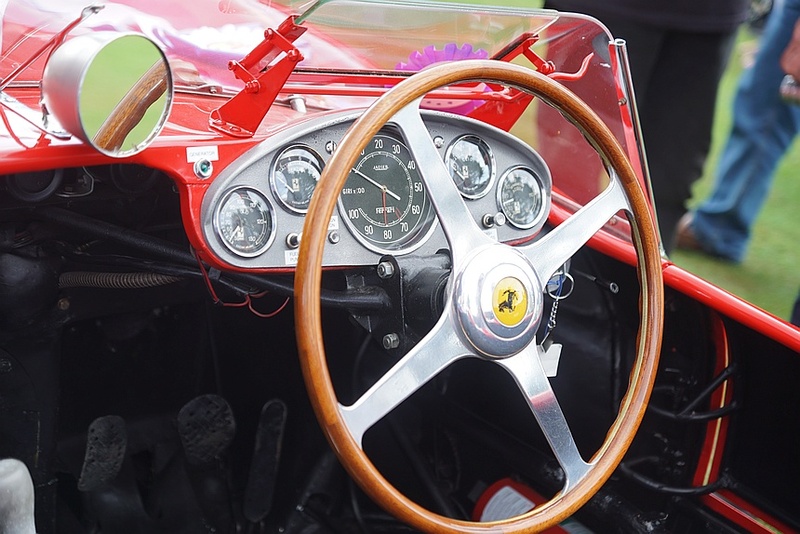 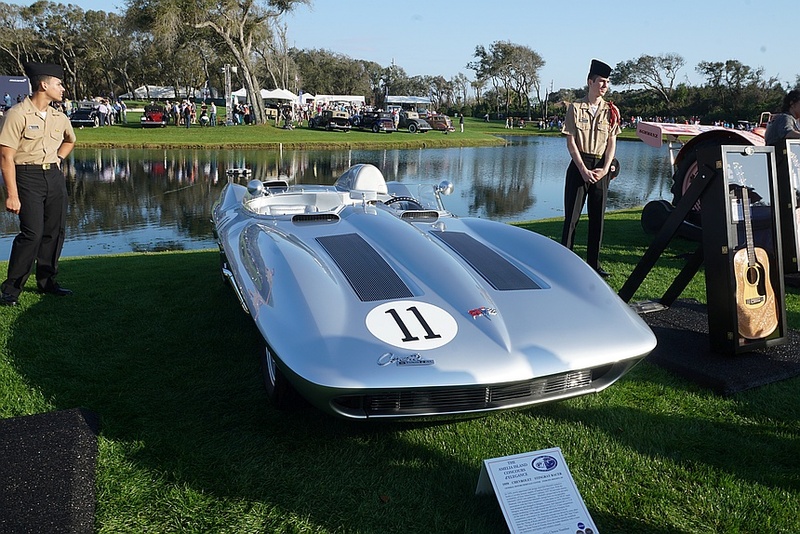 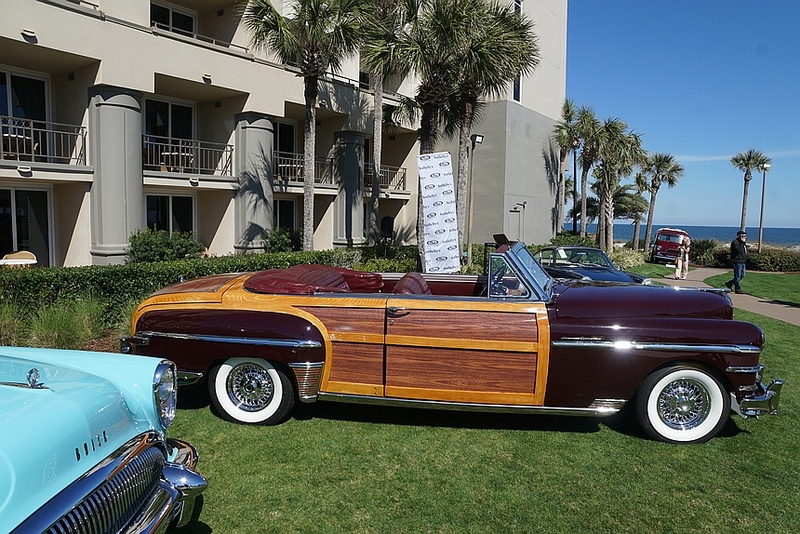 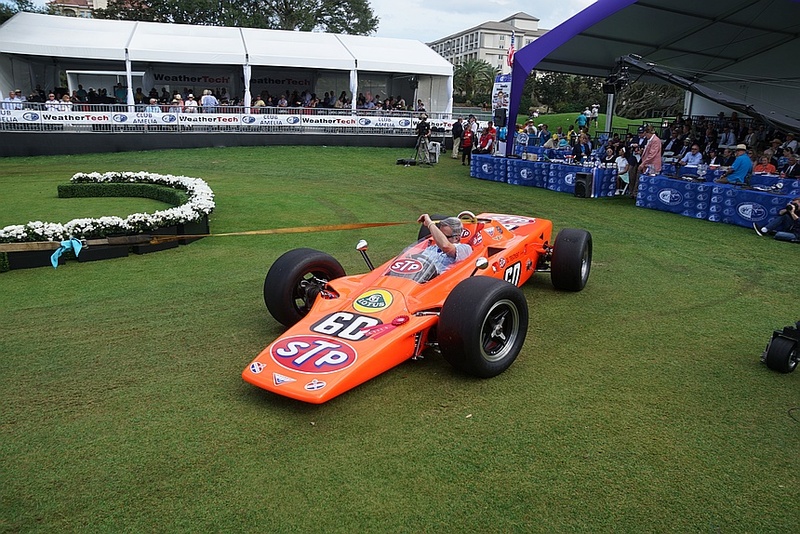 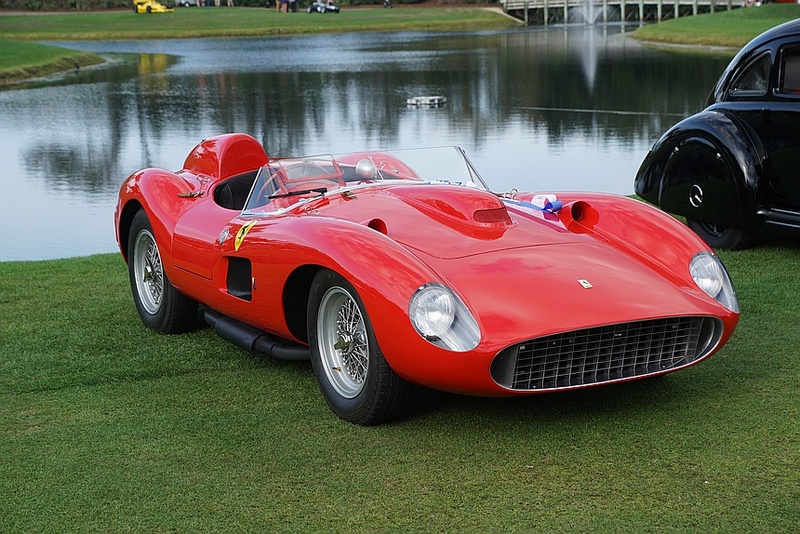 The Amelia Island Concours d’Elegance, which got its start 24 years ago, began as a one-day show, with less than 100 cars. 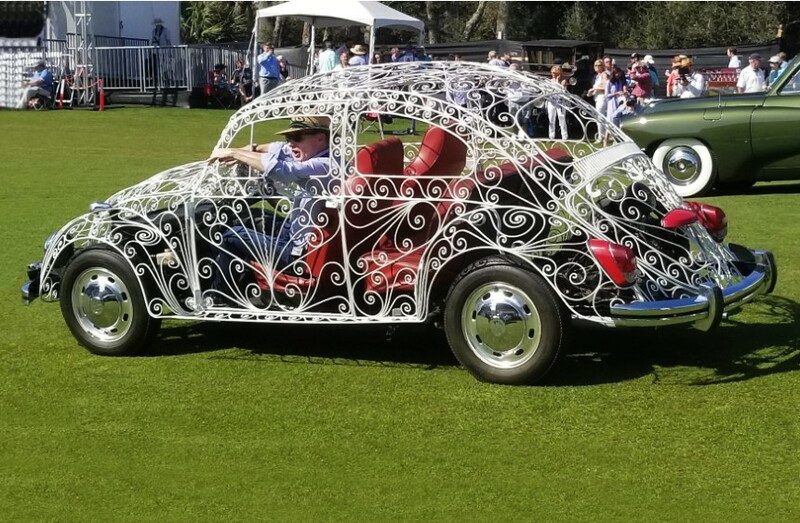 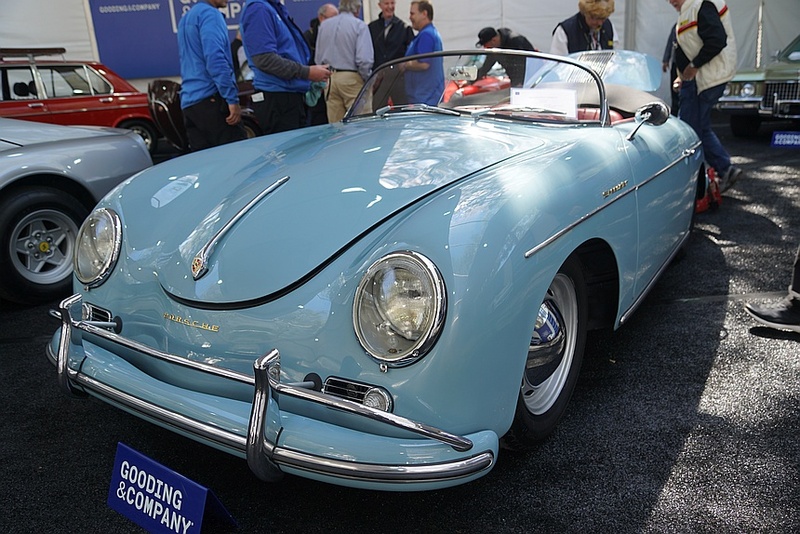 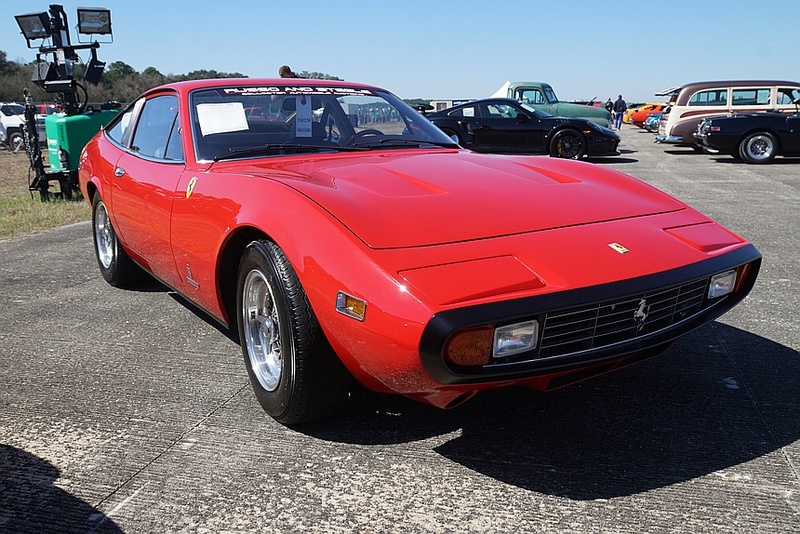 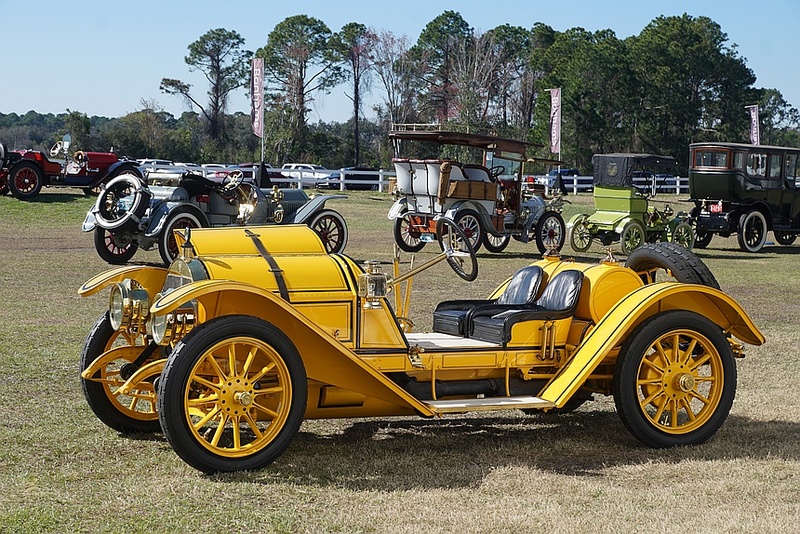 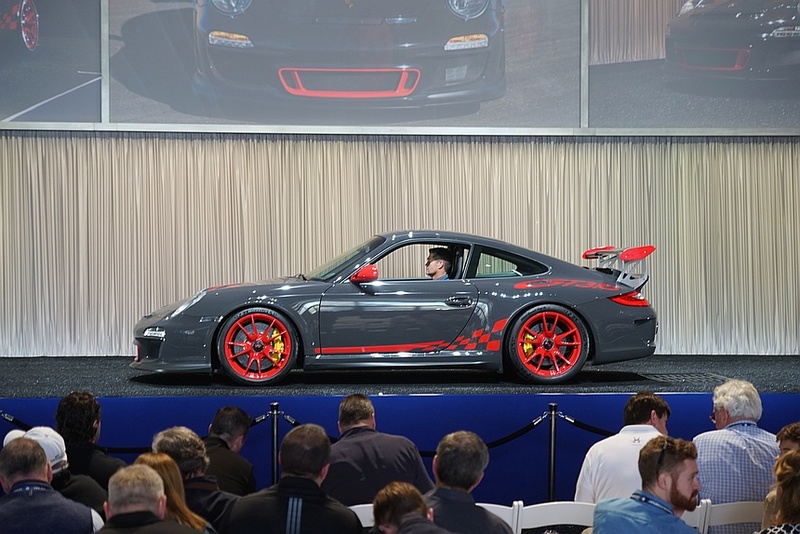 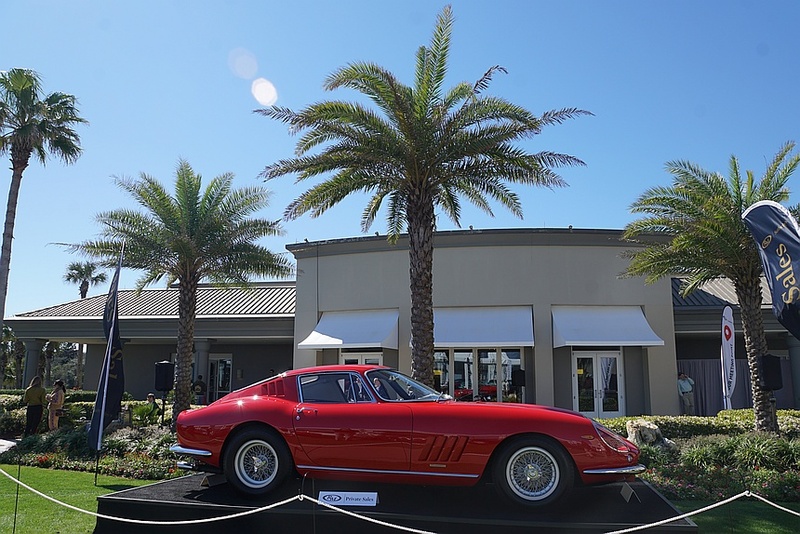 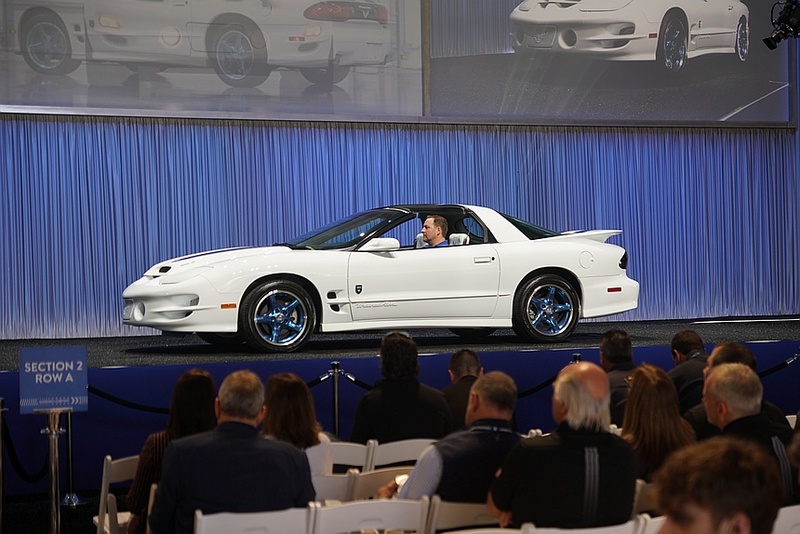 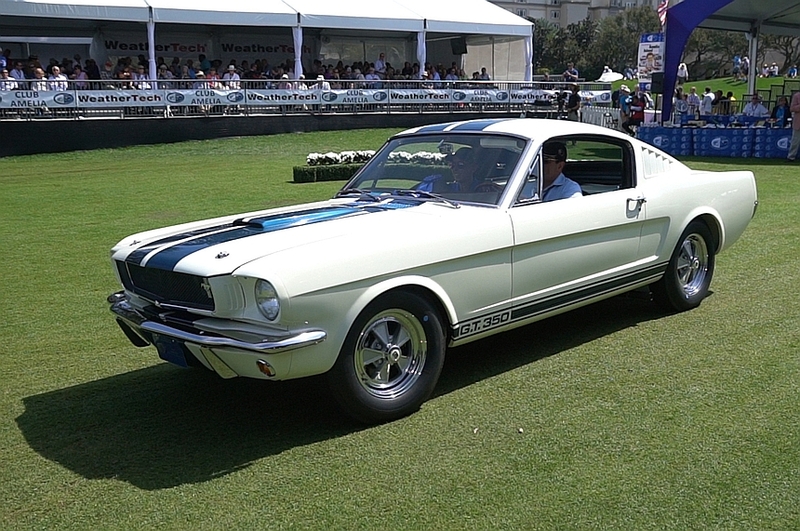 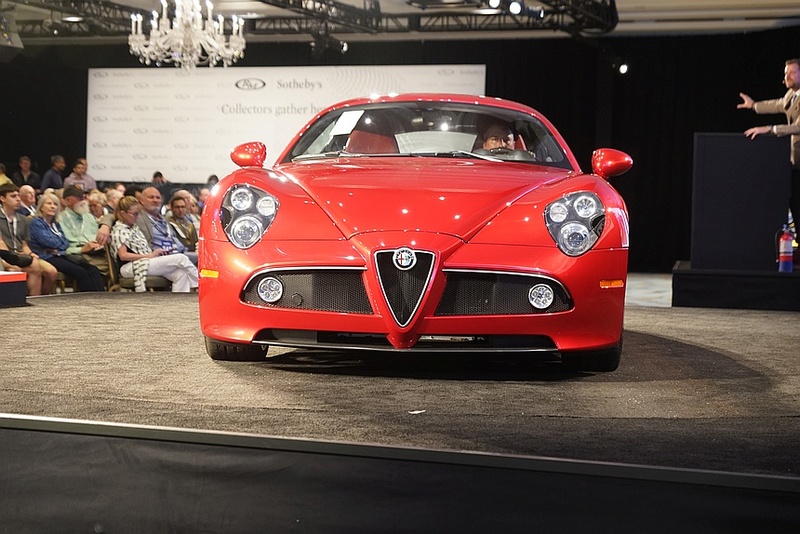 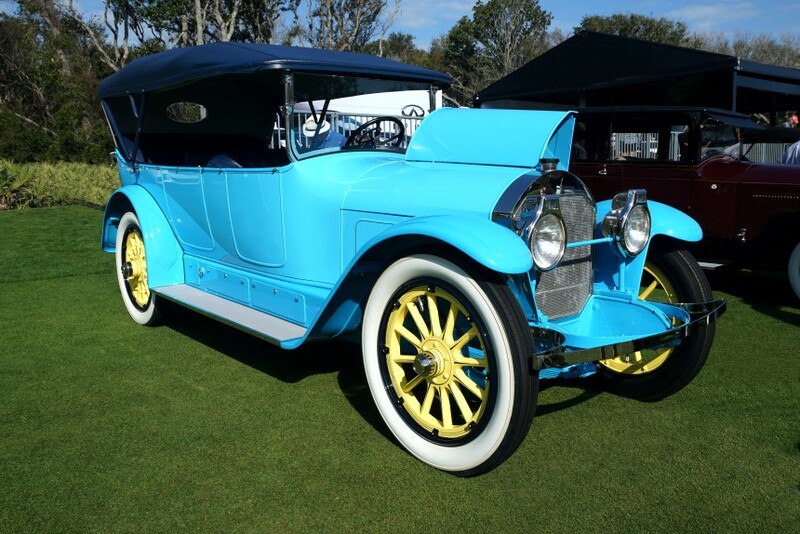 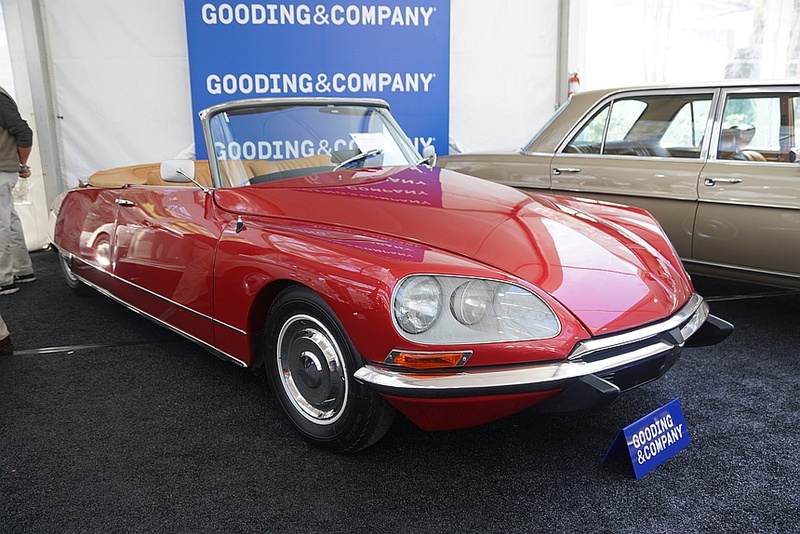 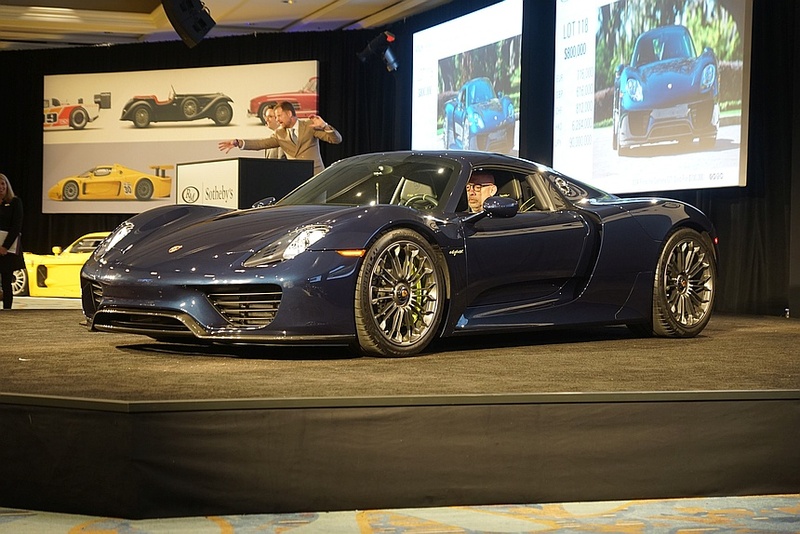 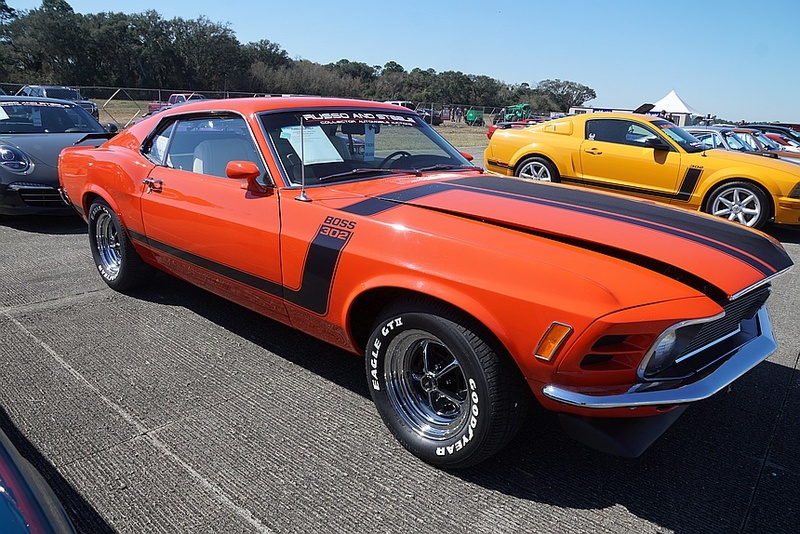 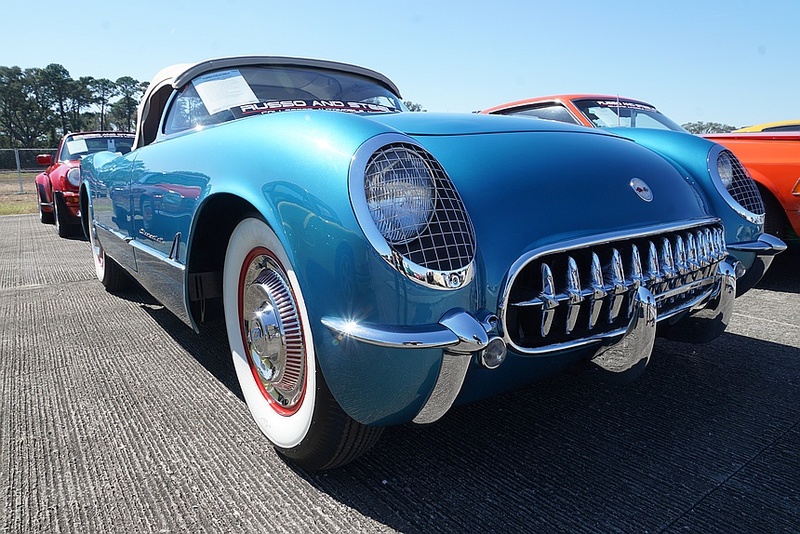 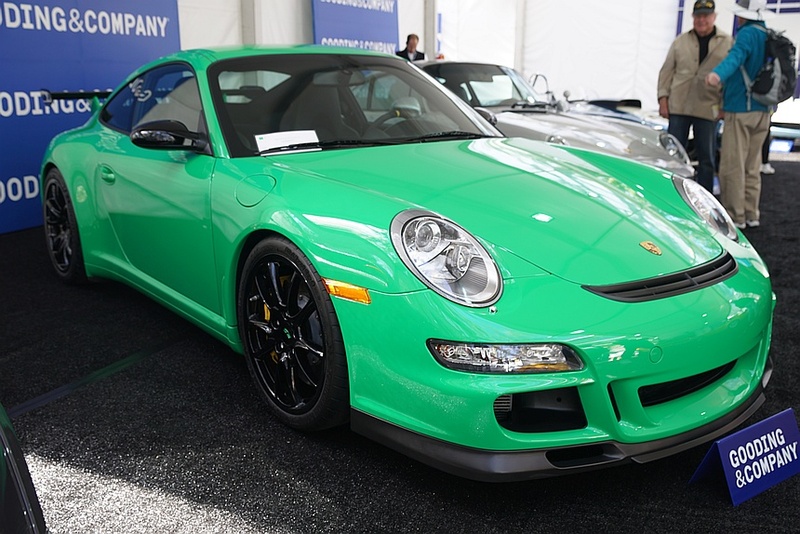 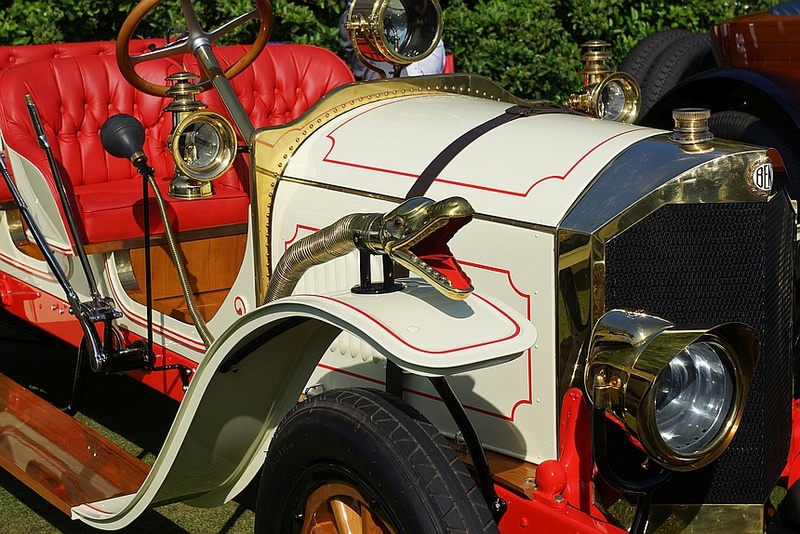 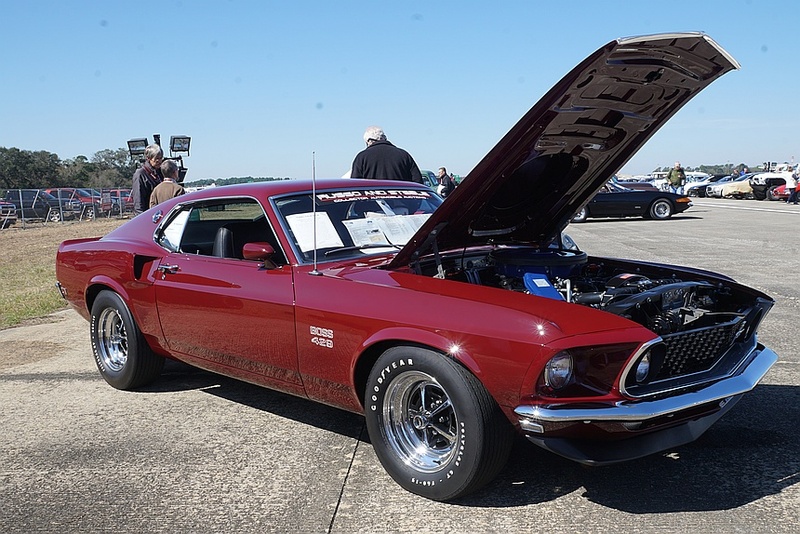 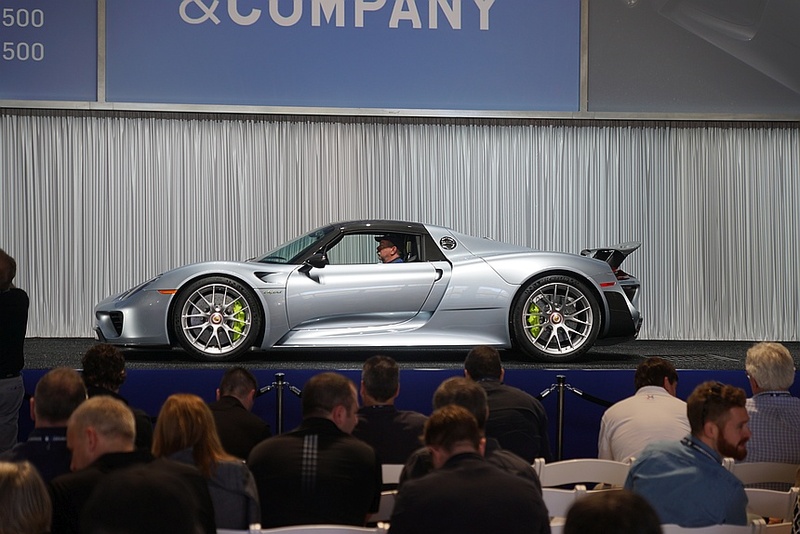 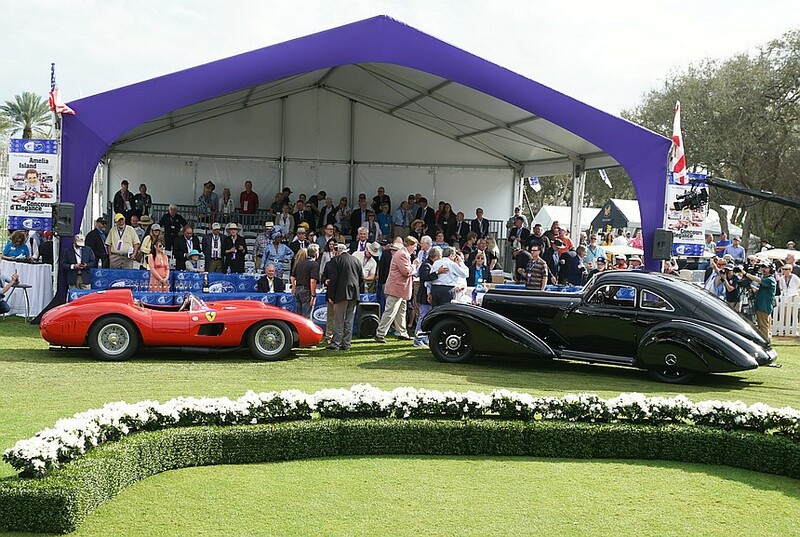 Today, it is a multi-day celebration of cars, which includes classic car auctions, Cars & Coffee at the Concours, classic car-related seminars, and, of course, the big finale: the Concours, itself, which is held on Sunday. 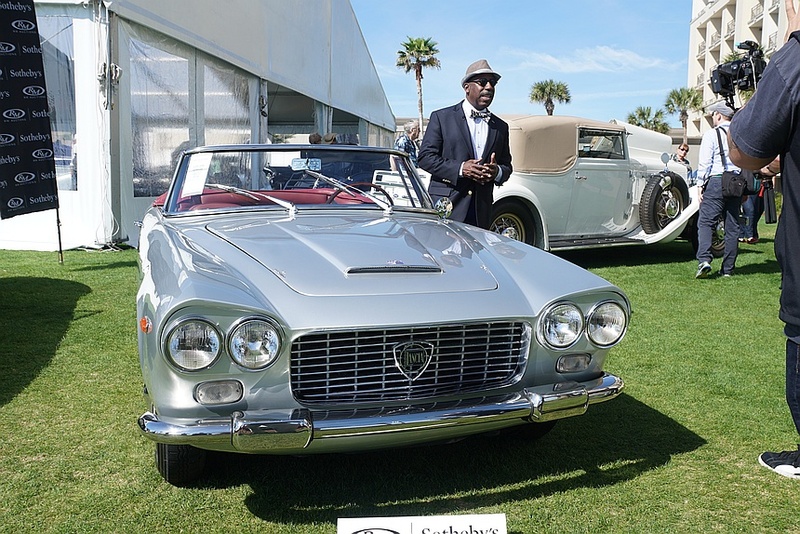 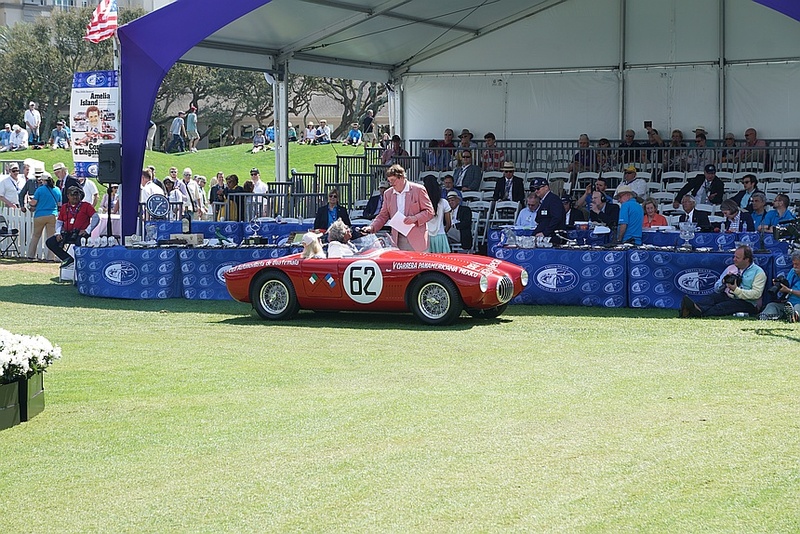 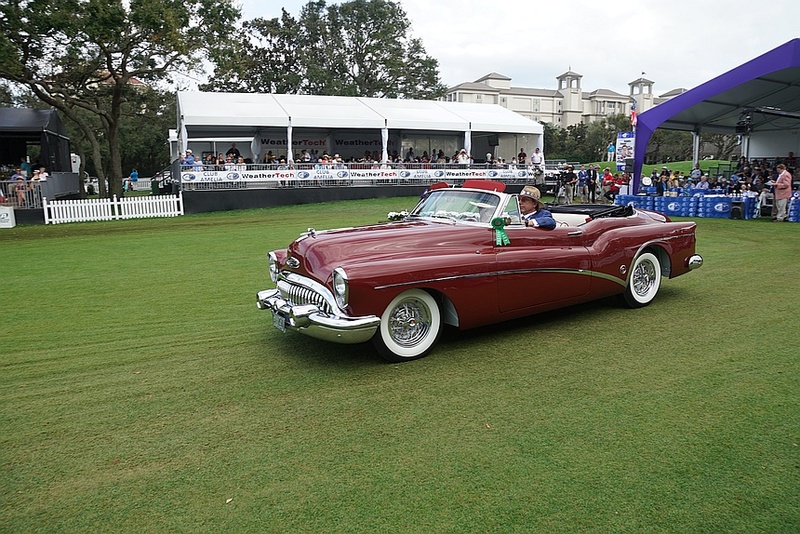 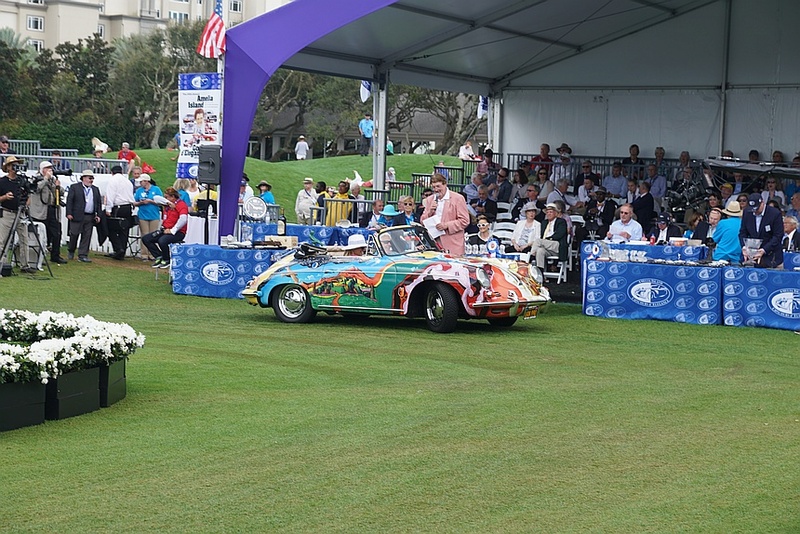 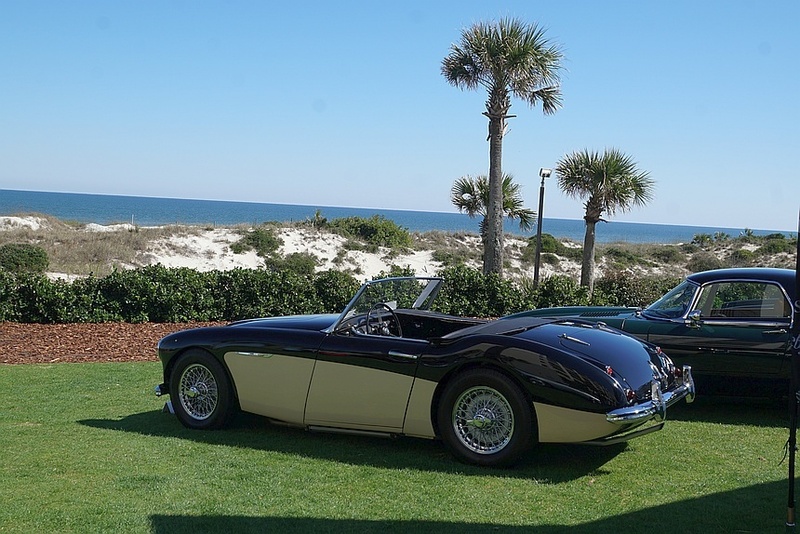 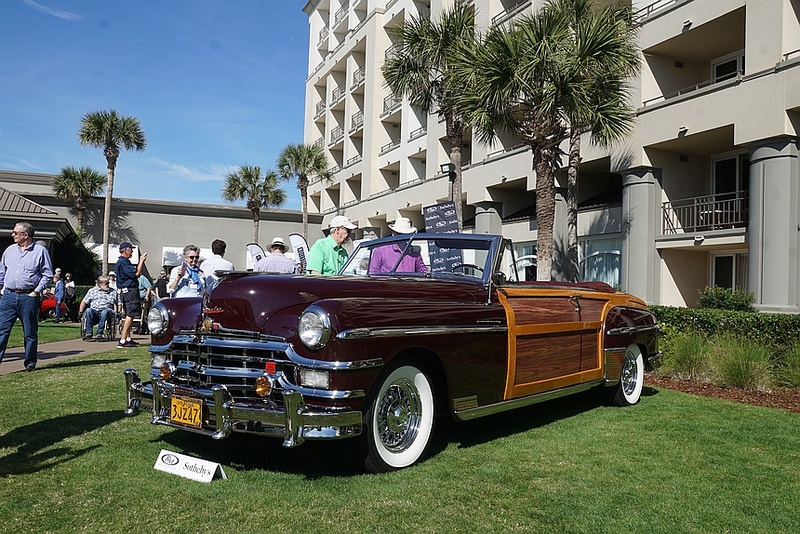 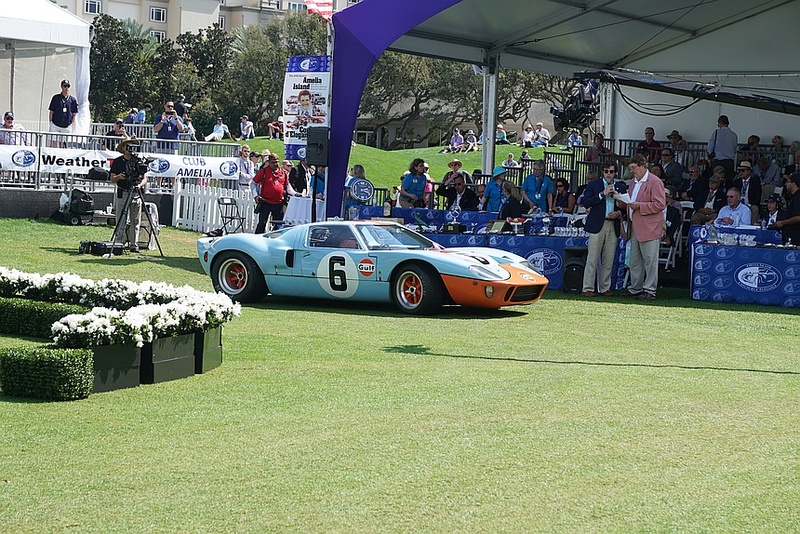 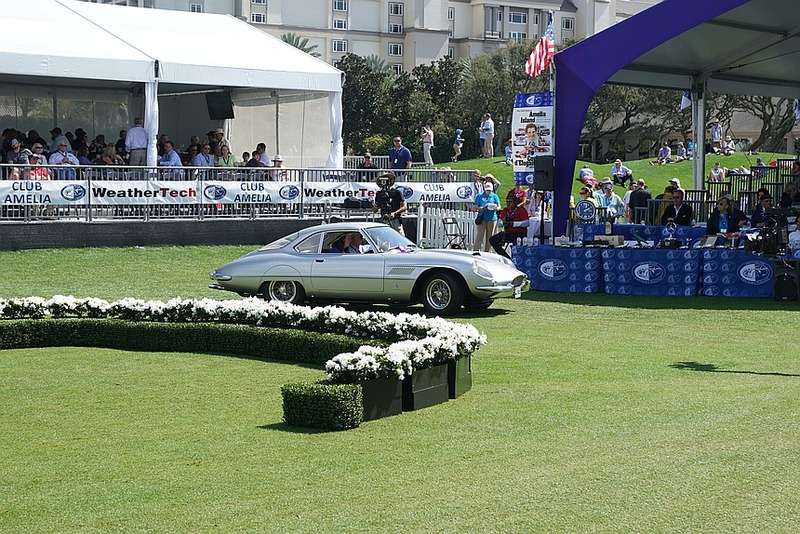 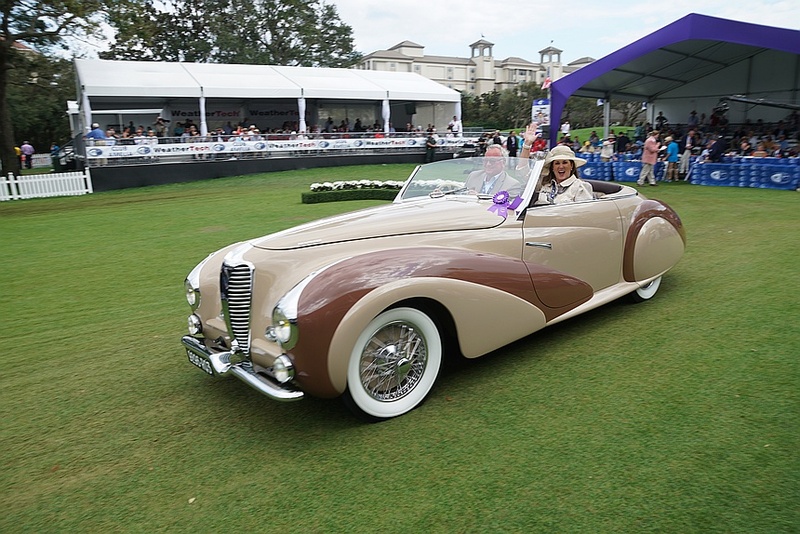 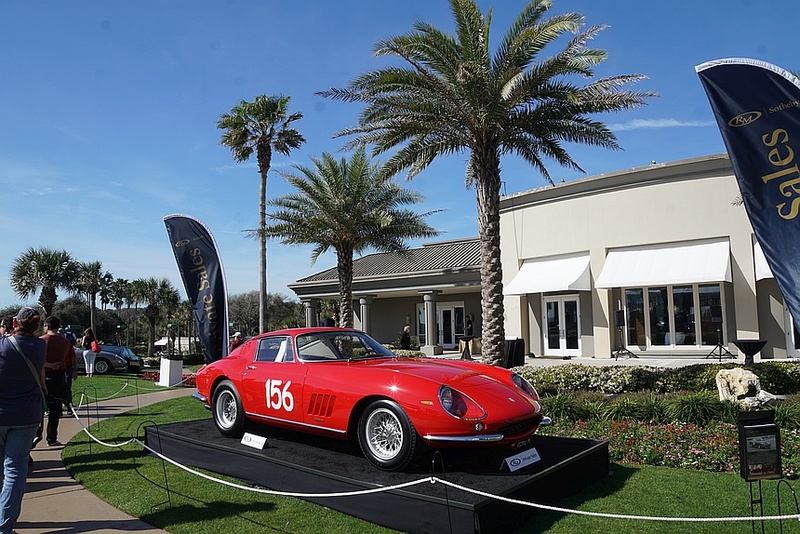 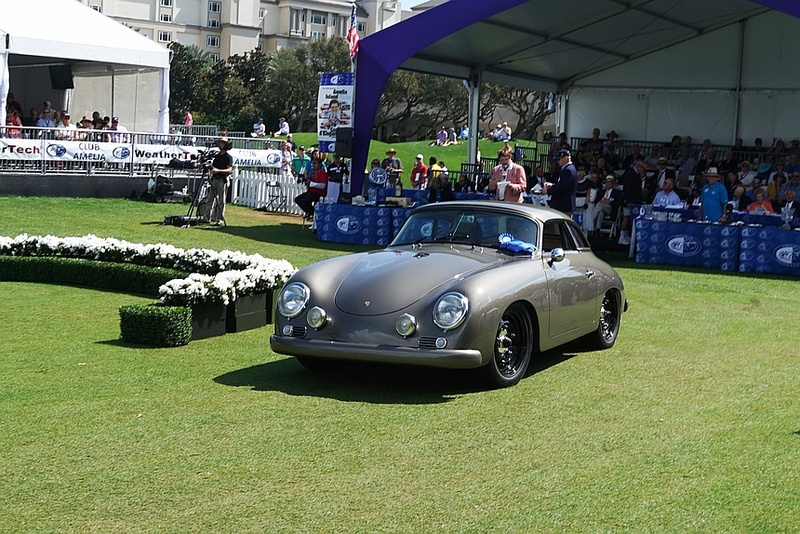 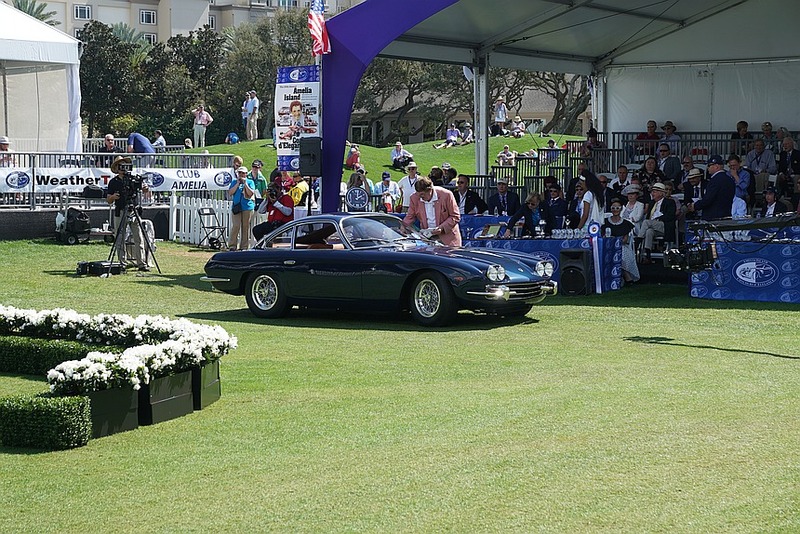 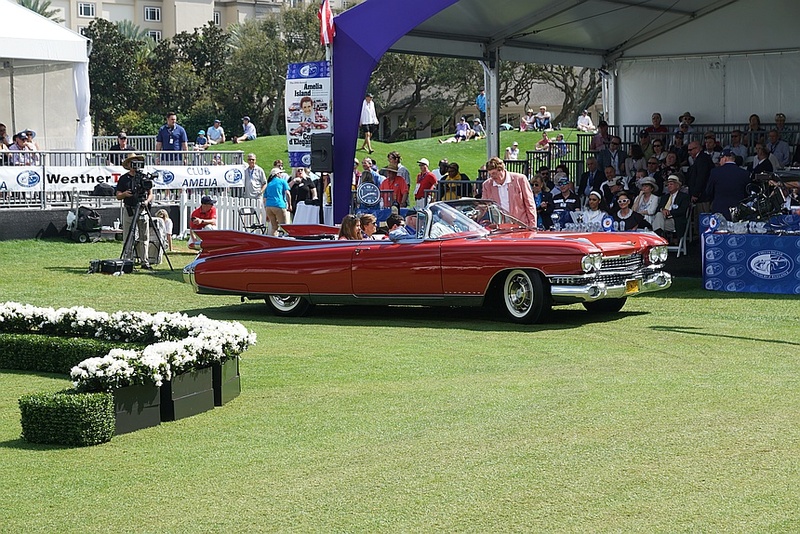 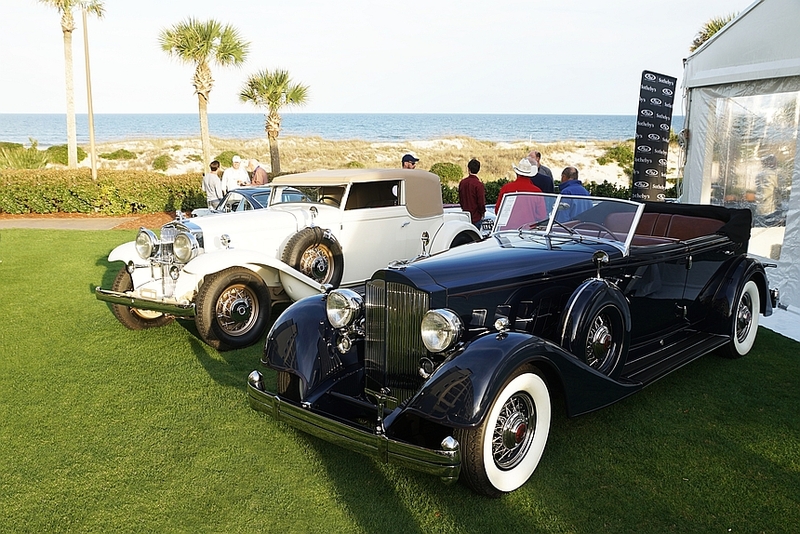 More than 400 of the best of the best were on the 10th & 18th Fairways of the Golf Club of Amelia Island on Concours day, along with tens of thousands of spectators, in what has become the East Coast’s answer to Pebble Beach. 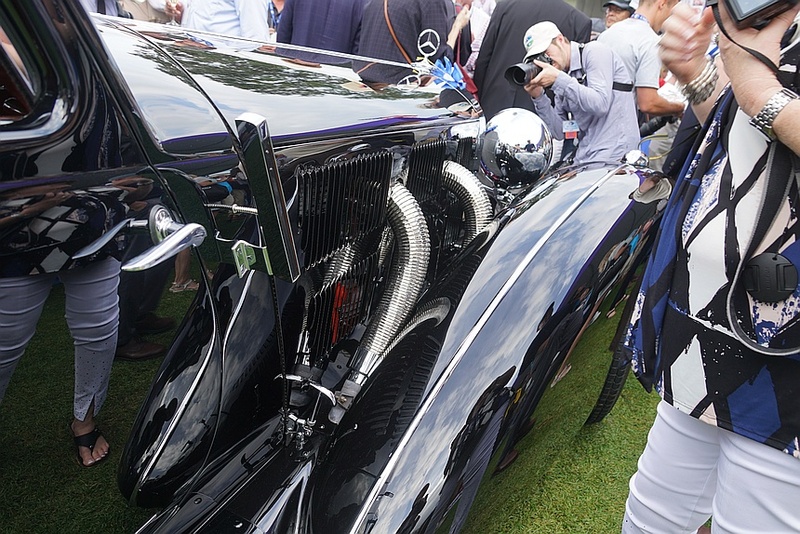 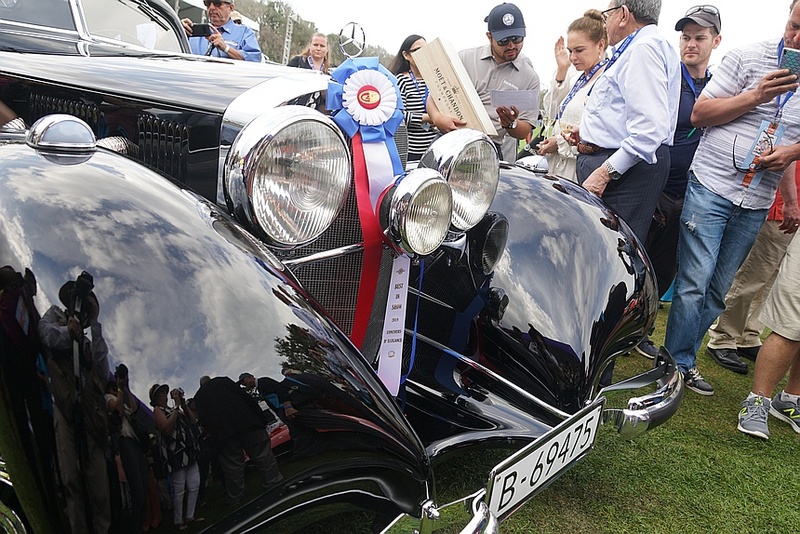 Touted as the fun Concours d’Elegance, don’t let this description fool you — there’s plenty of pomp and circumstance surrounding an impressive number of first-class entries. 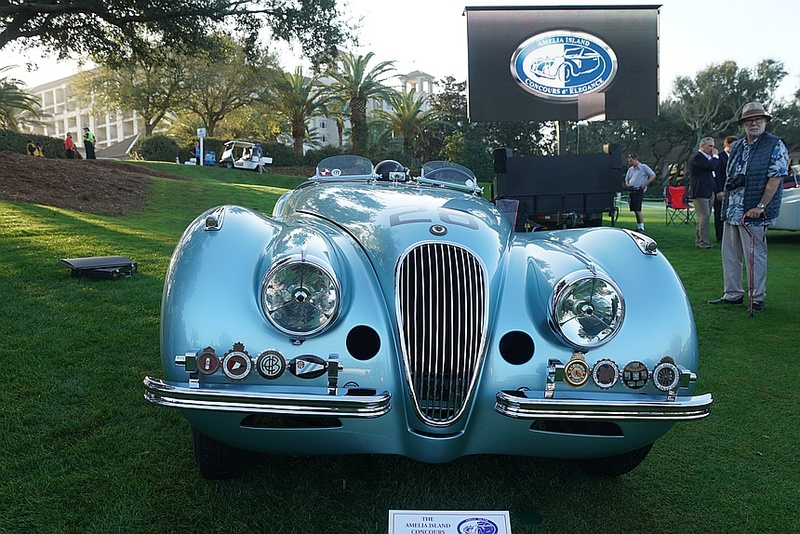 In fact, “The Amelia,” as it has come to be known, is a two-time winner of the prestigious International Historic Motoring Awards. 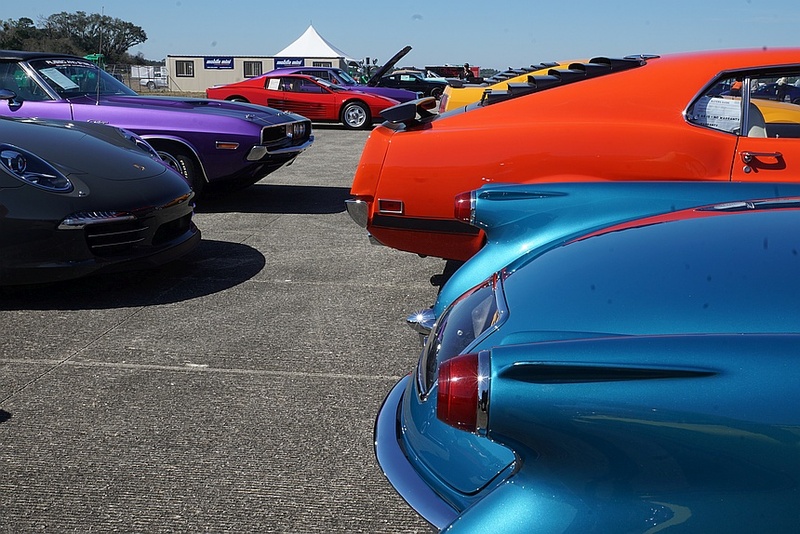 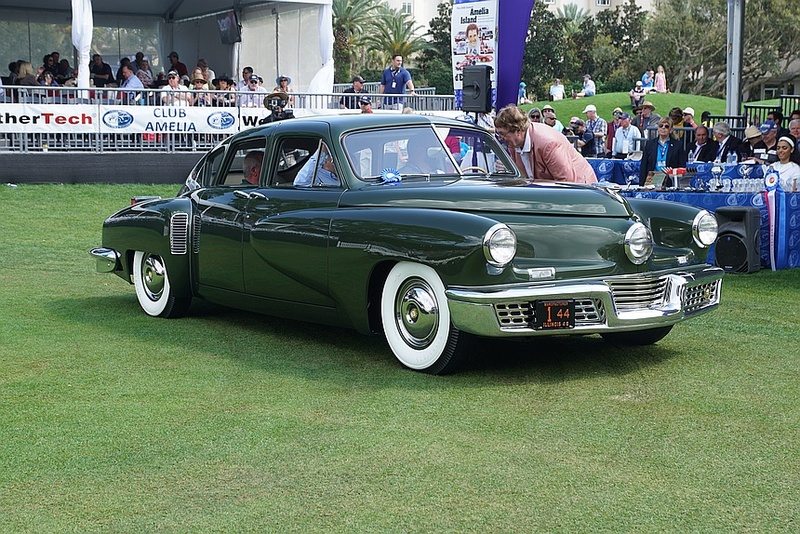 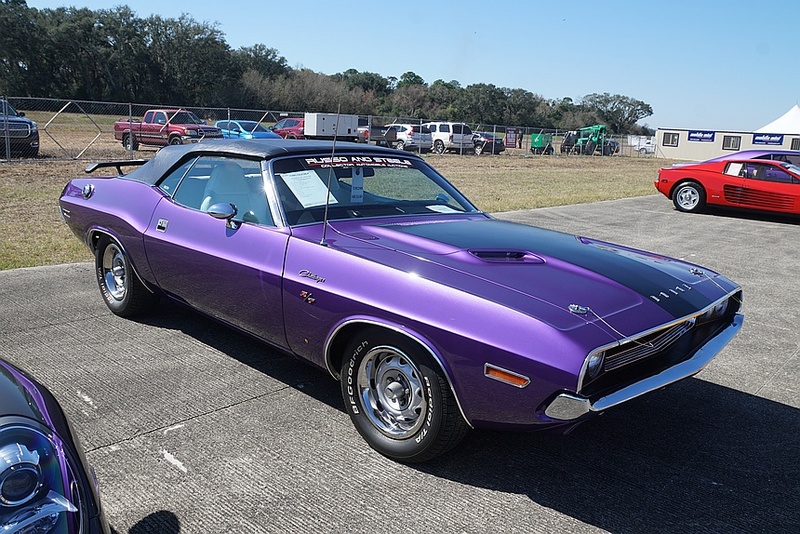 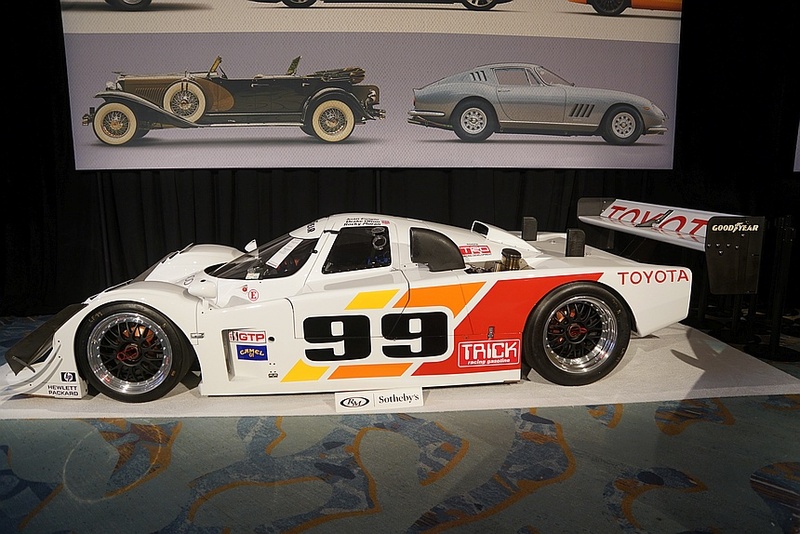 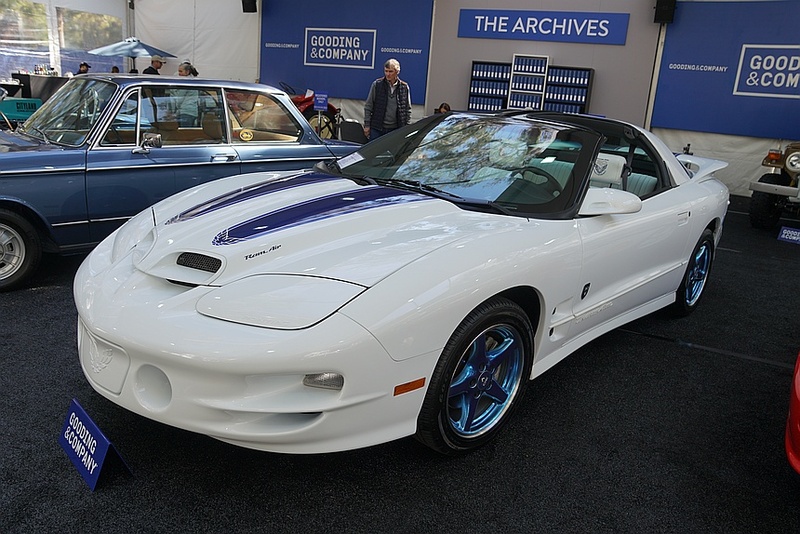 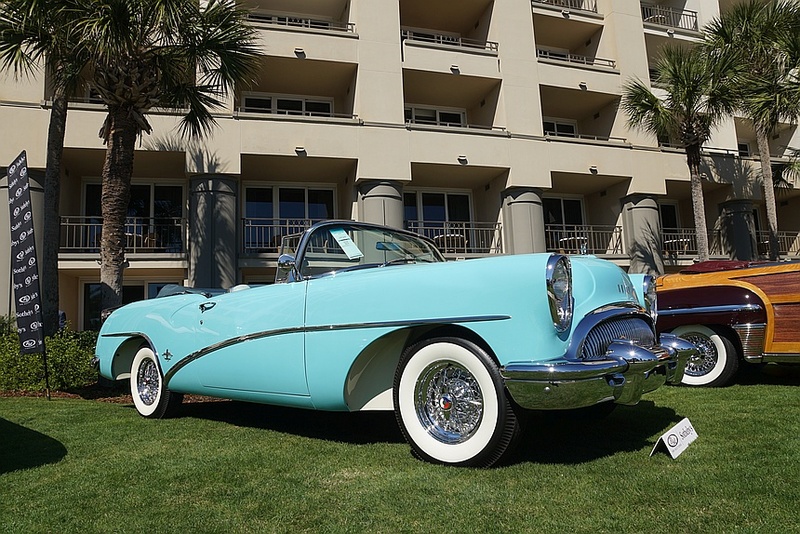 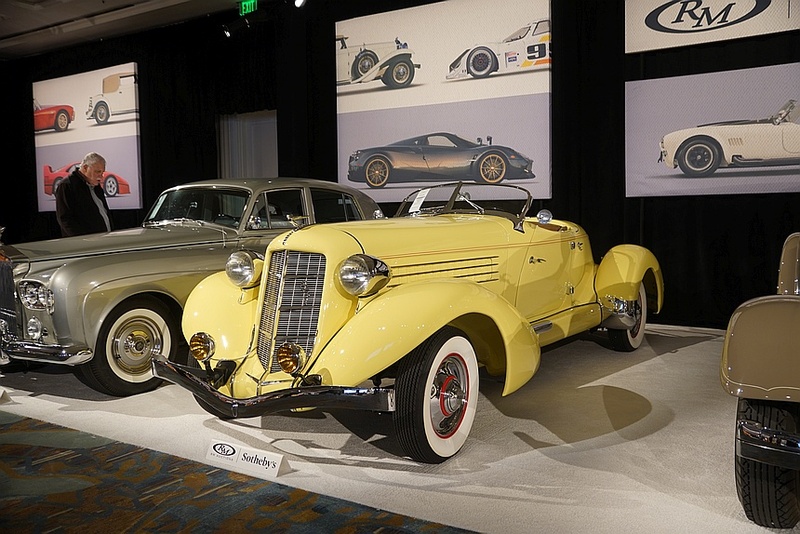 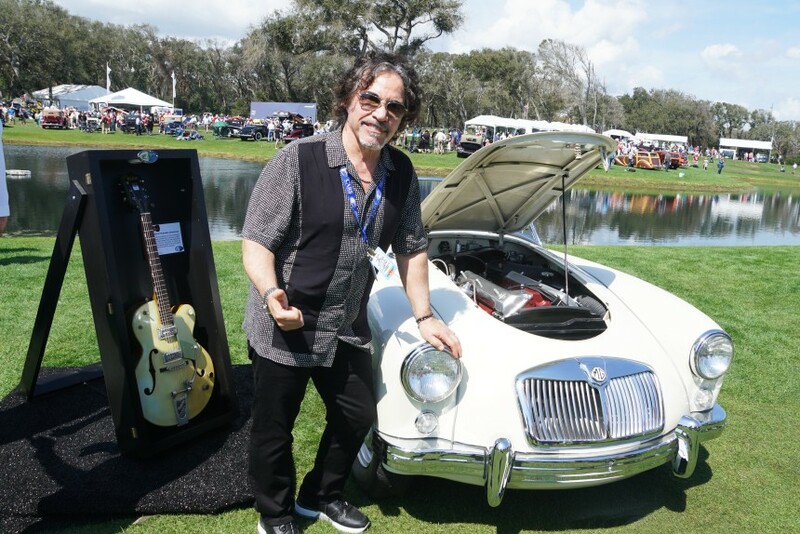 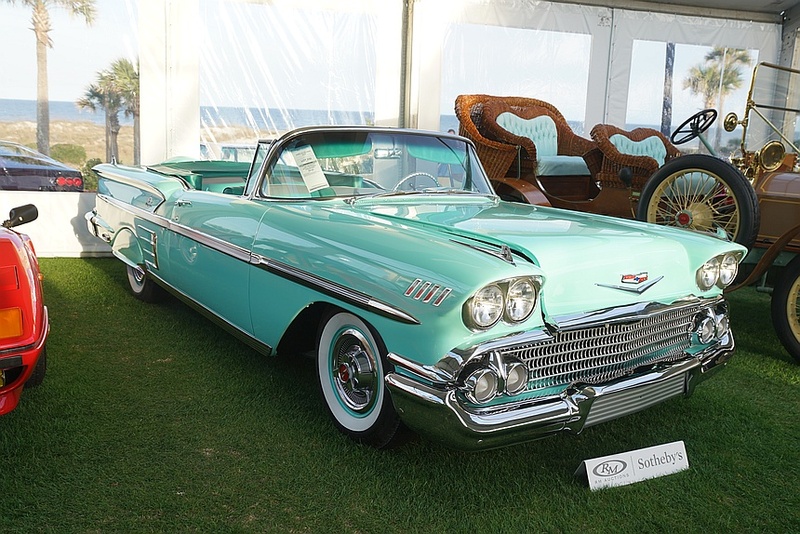 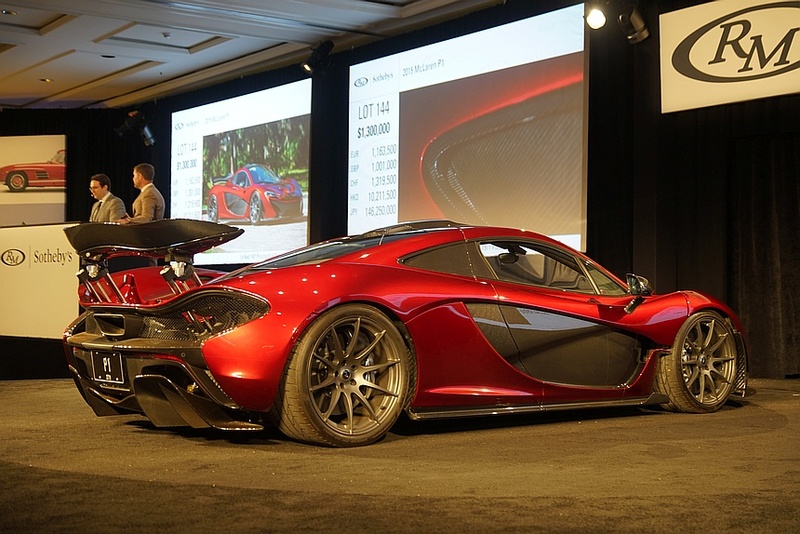 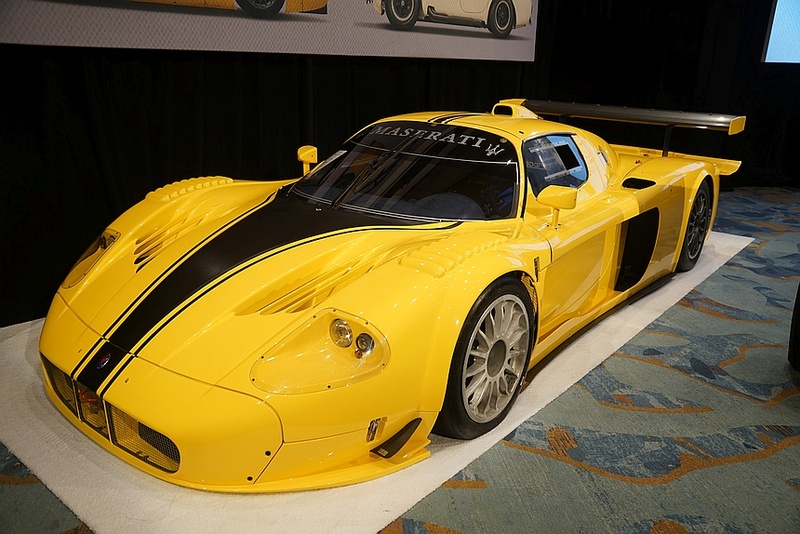 A new group at “The Amelia” this year, the “Cars of the Rock Stars 2019,” was a collection of vehicles and guitars owned by John Oates of Hall and Oates. 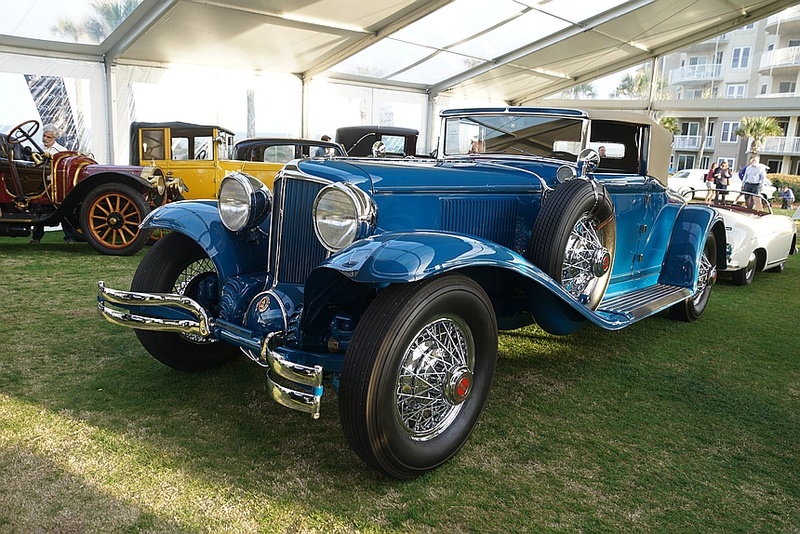 There were also additional vehicles owned or closely associated with well-known rock stars. 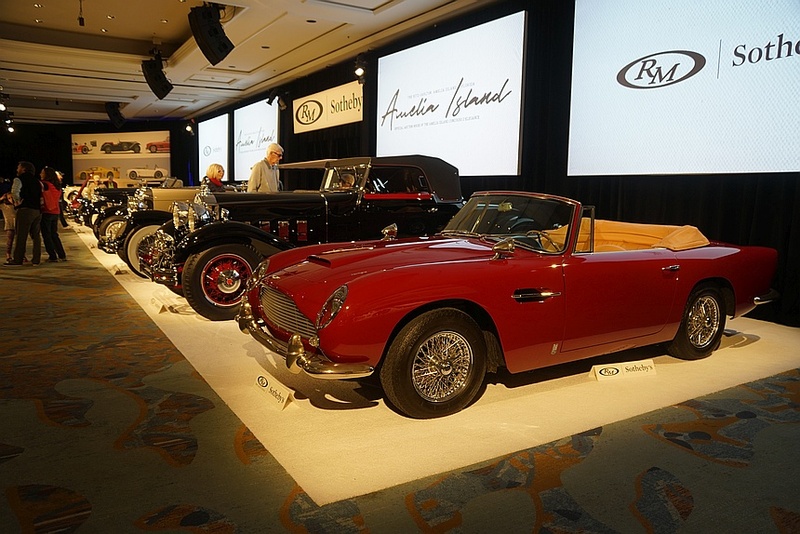 Anniversaries and honored marques this year were: 70 years of the Jaguar XK120, 35 years of the Porsche 962, the 60th anniversary of Ferrari’s V-12 250 GT “Short Wheelbase Berlinetta,” and special recognition of the Mercedes-Benz 500K. 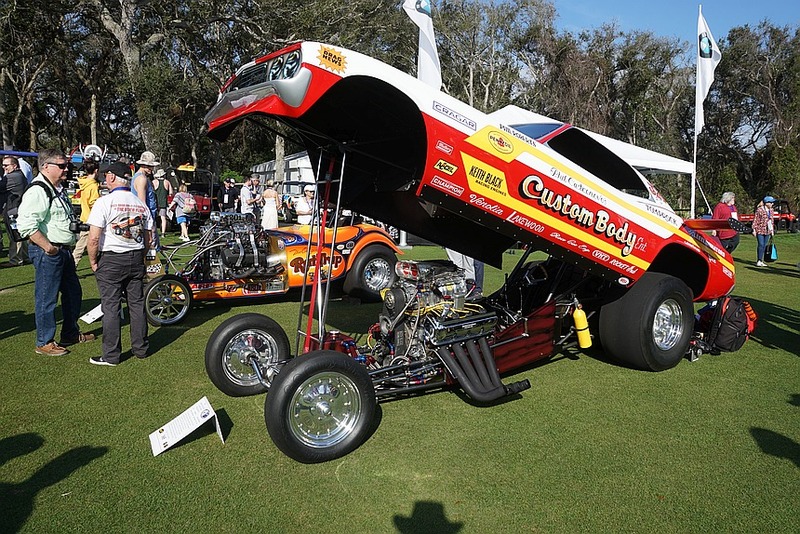 Here are some of the ‘Art on Wheels’ displayed on the show field. 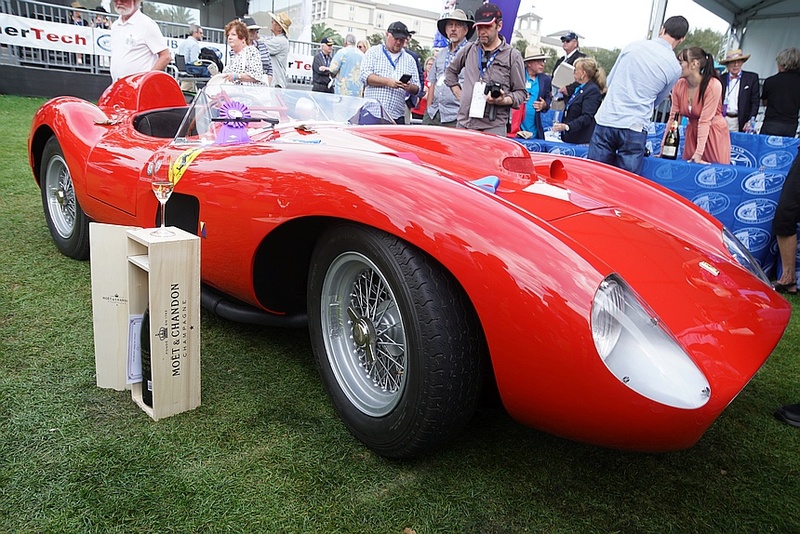 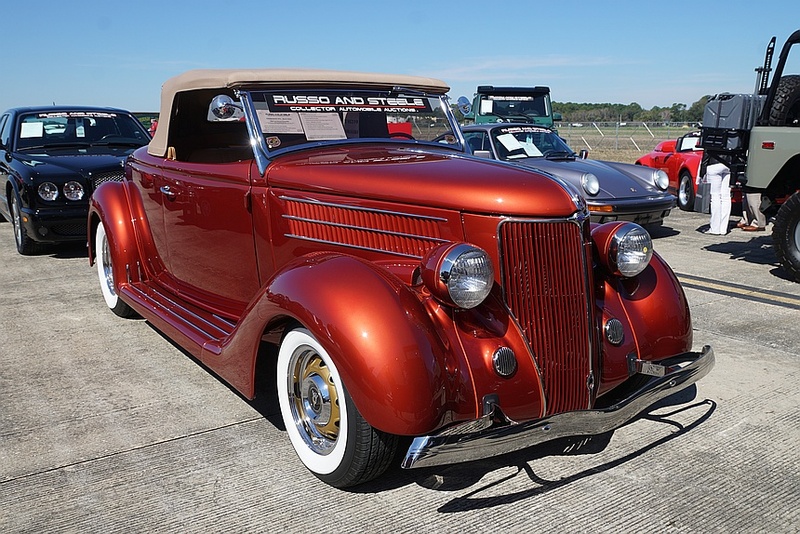 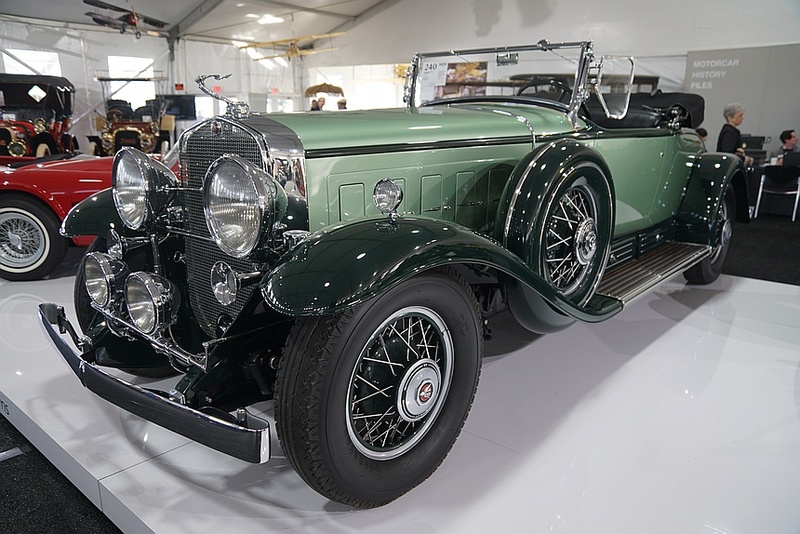 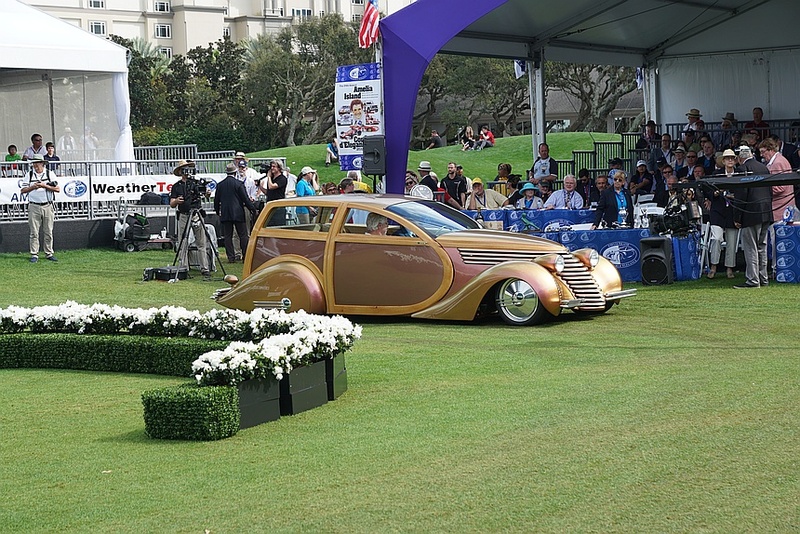 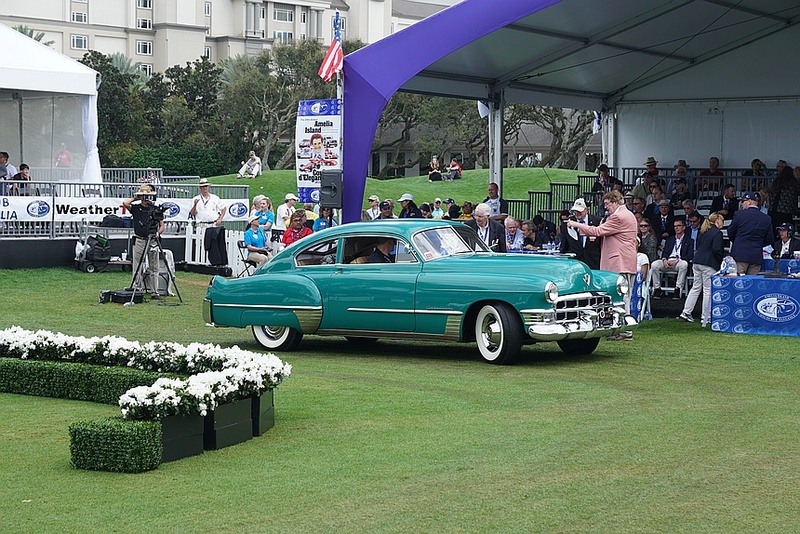 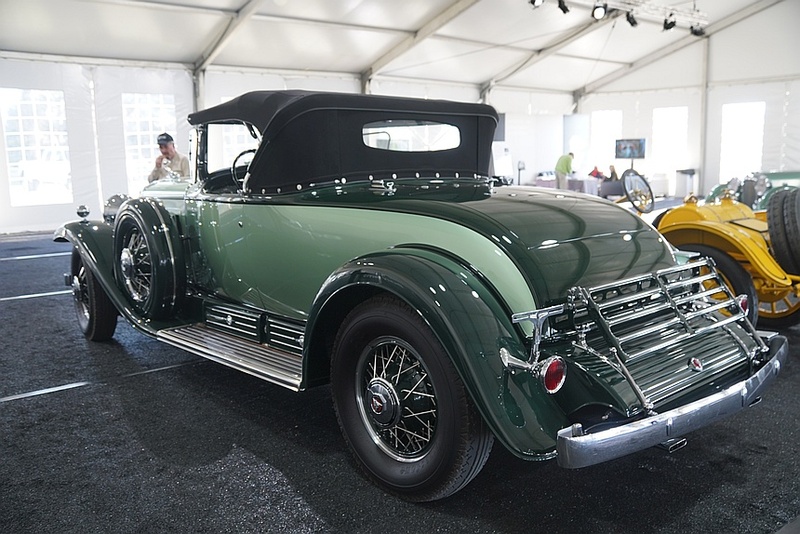 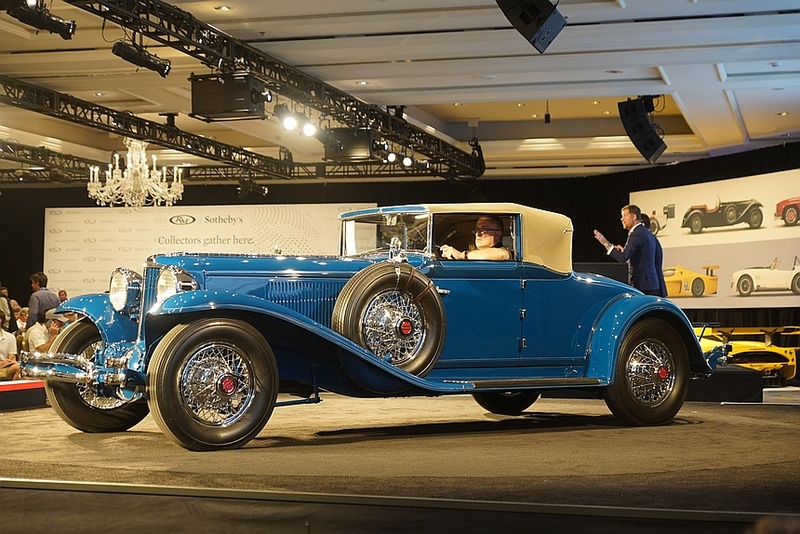 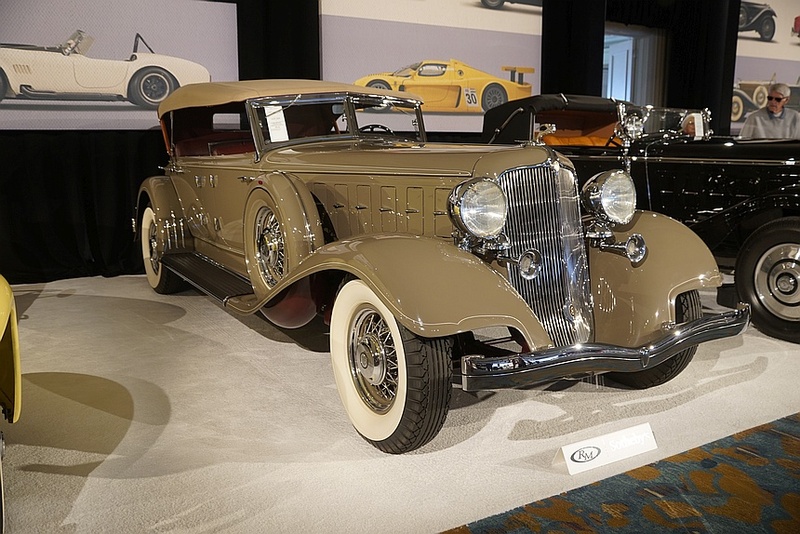 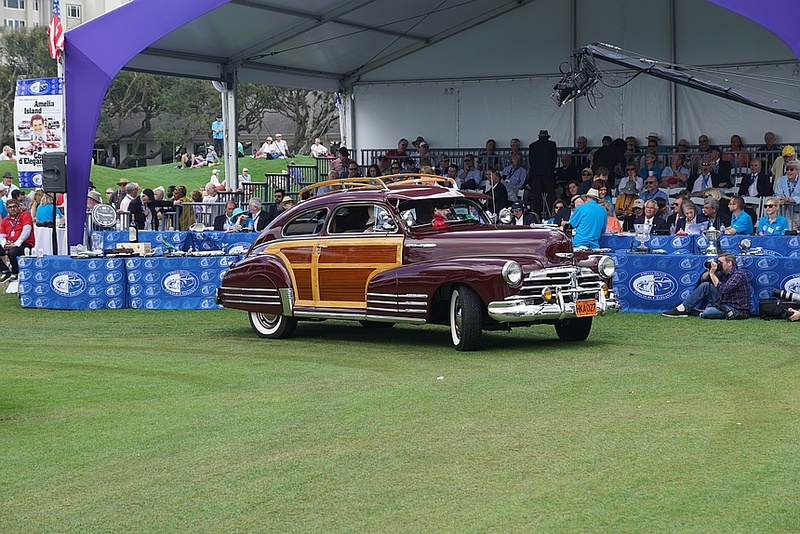 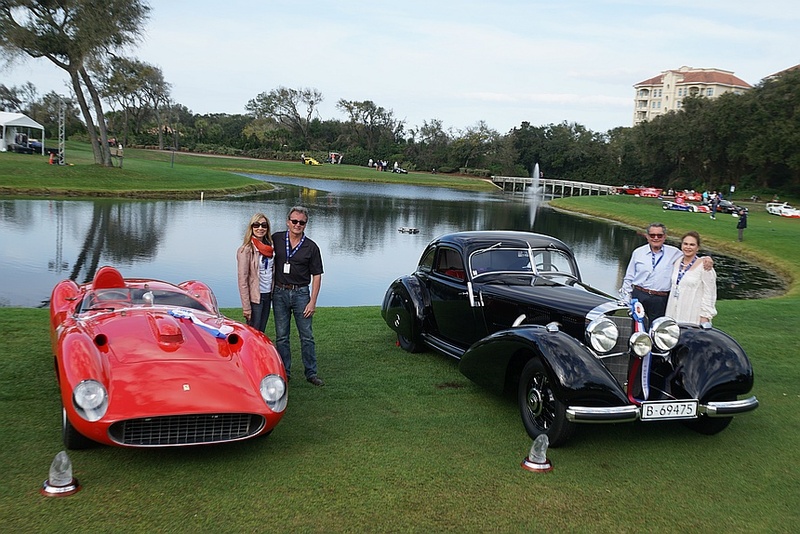 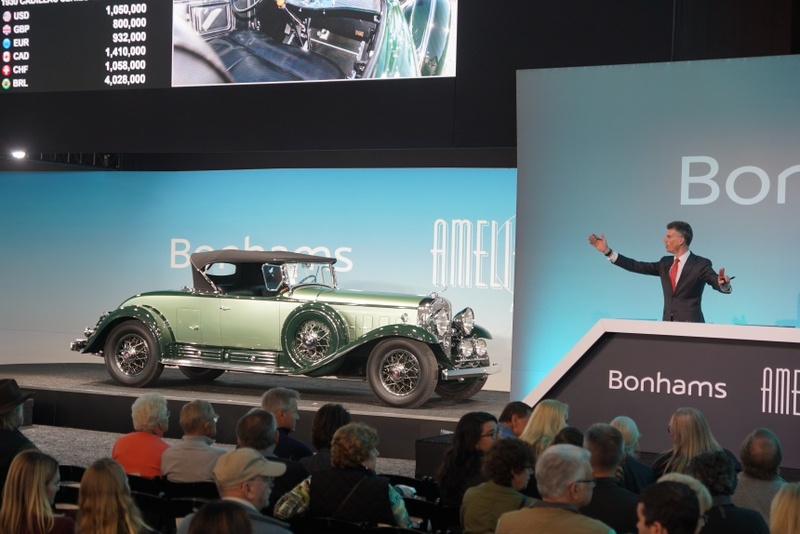 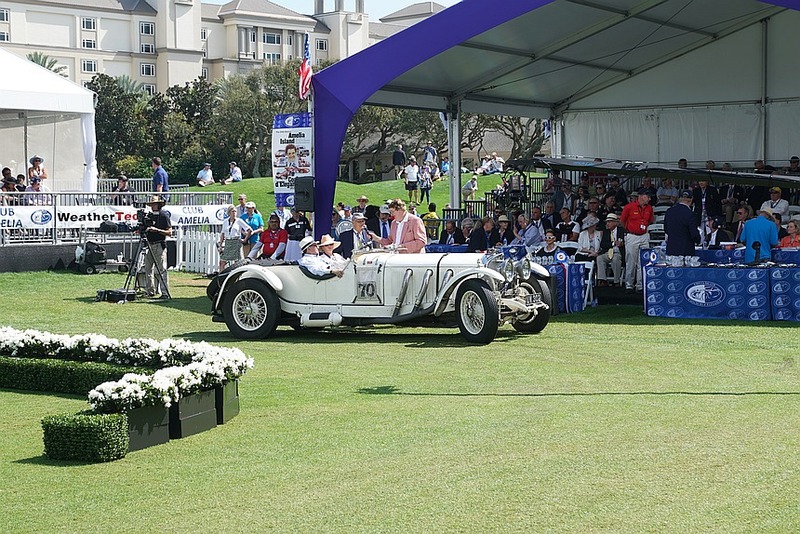 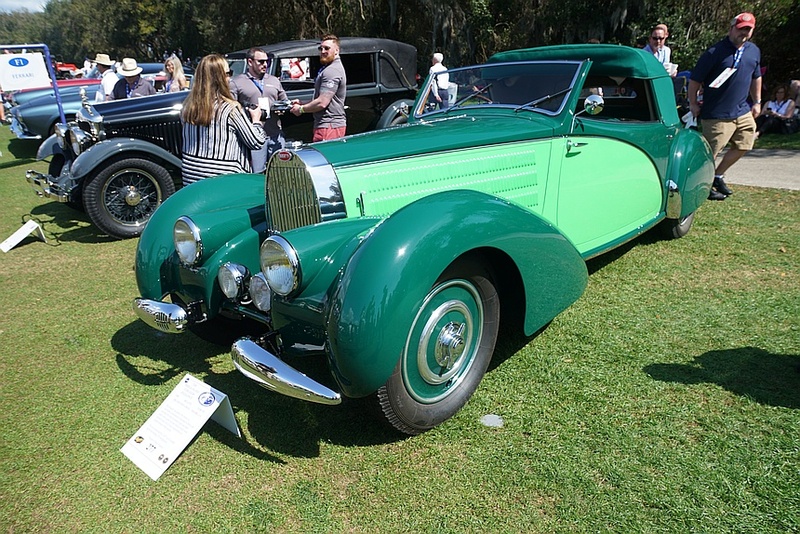 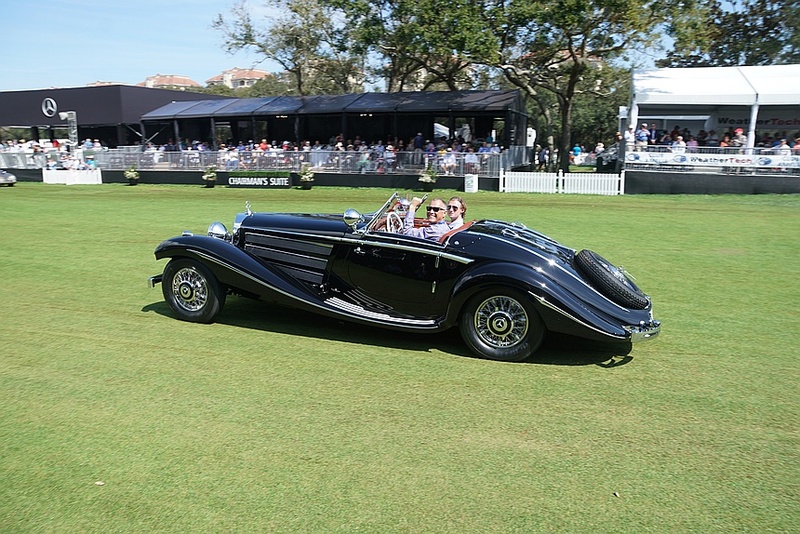 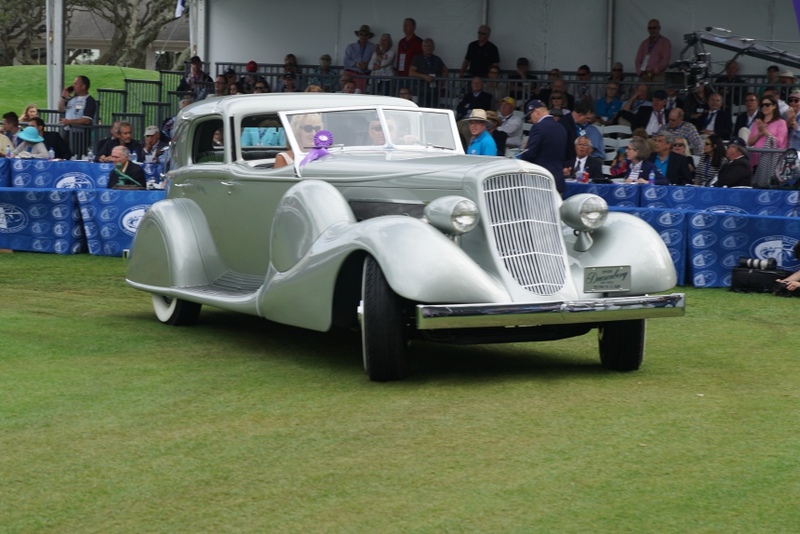 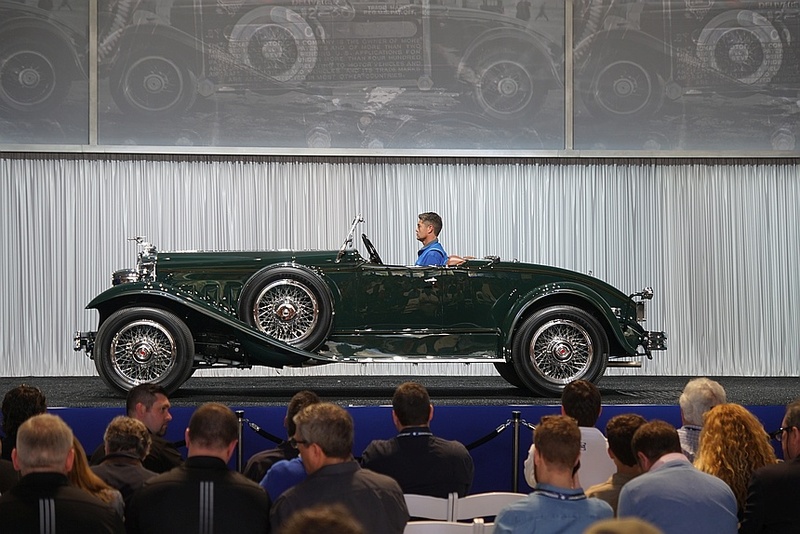 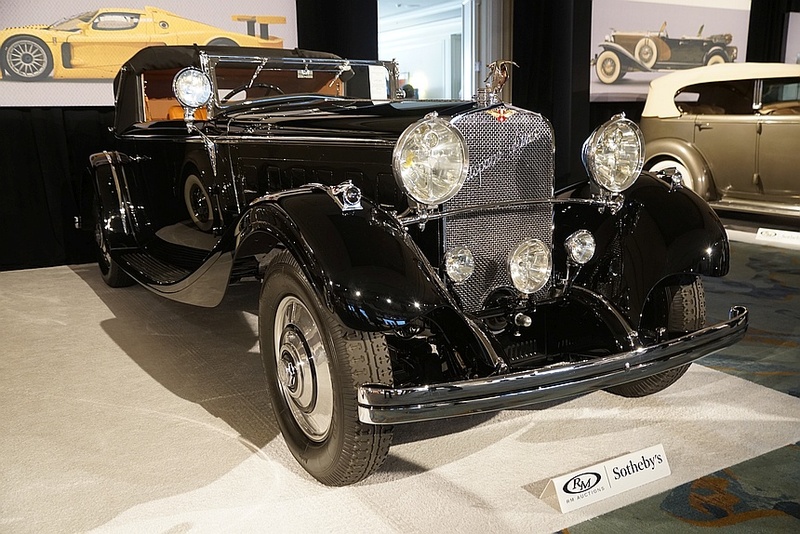 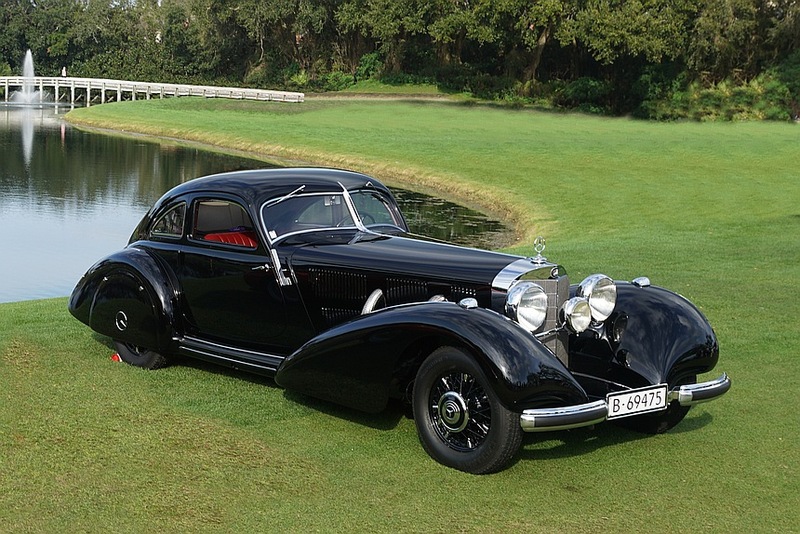 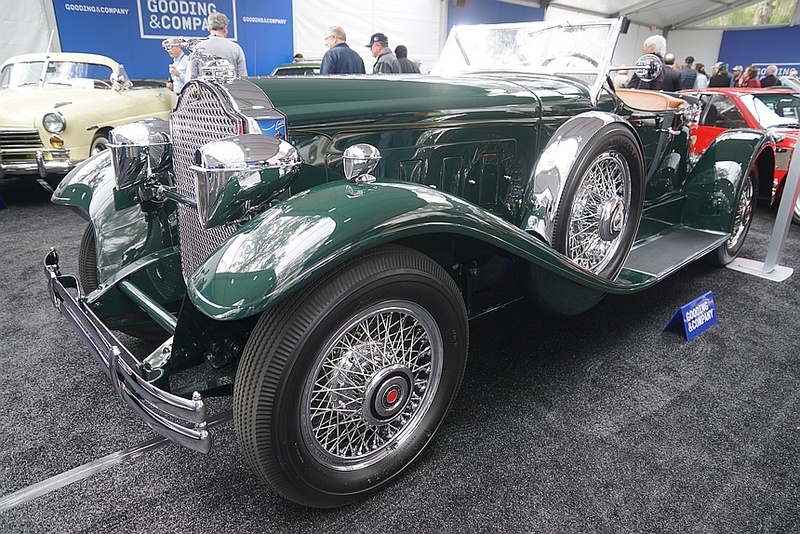 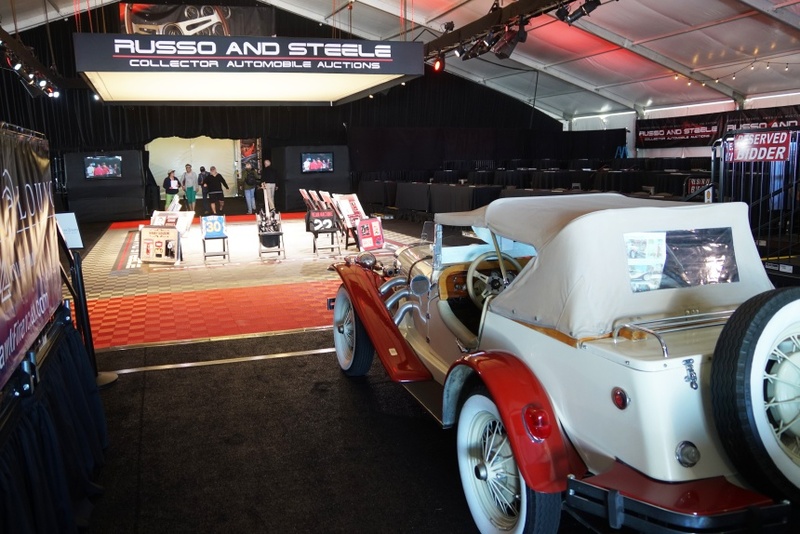 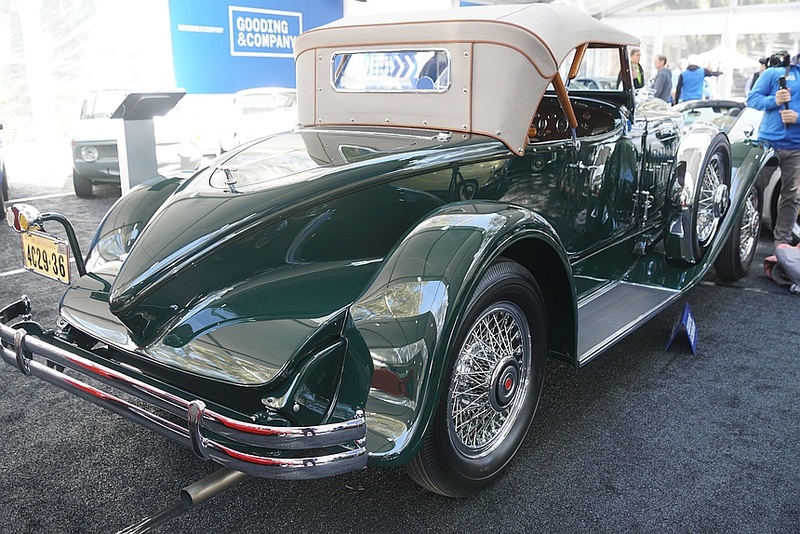 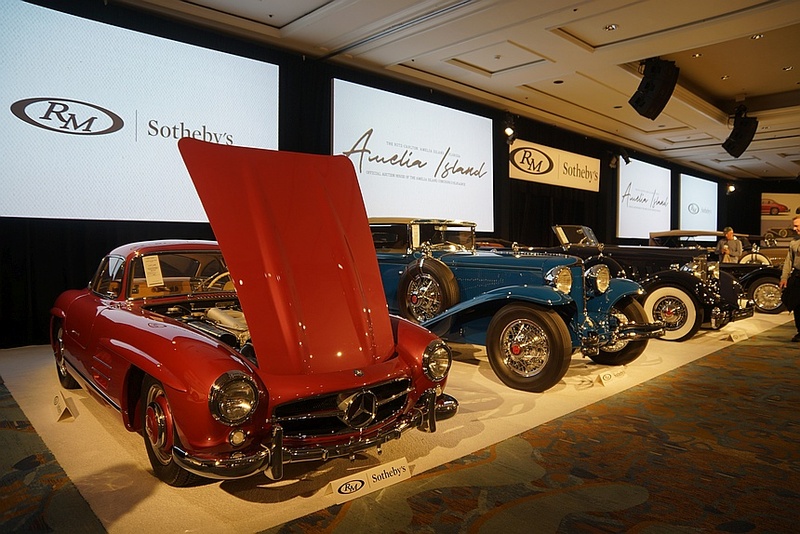 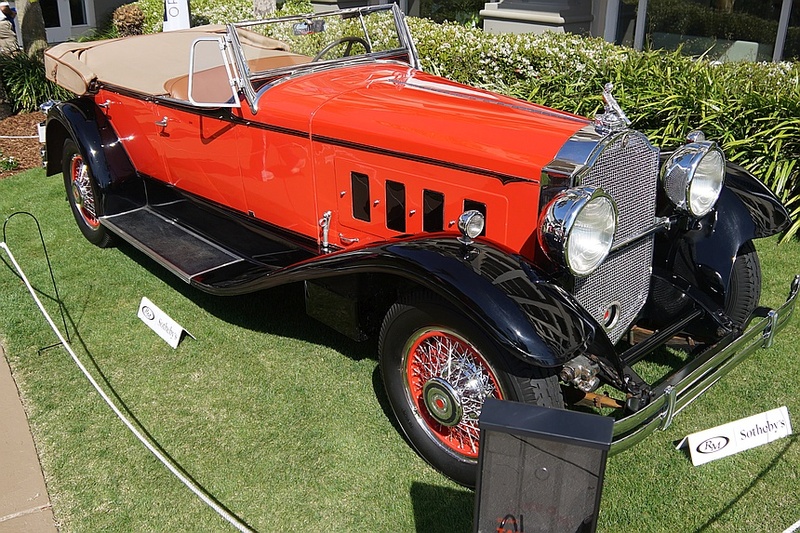 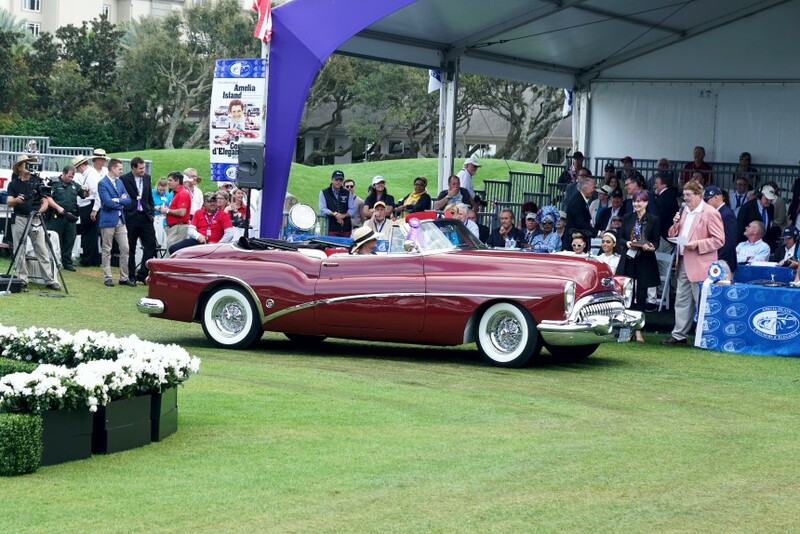 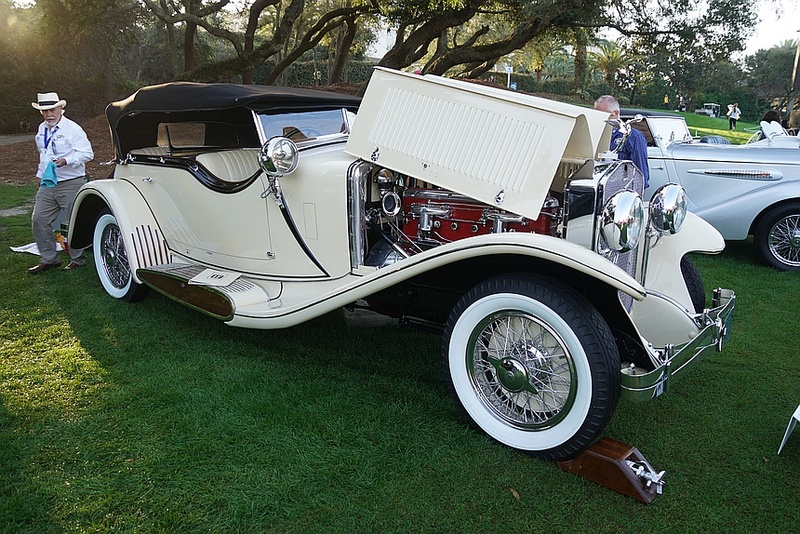 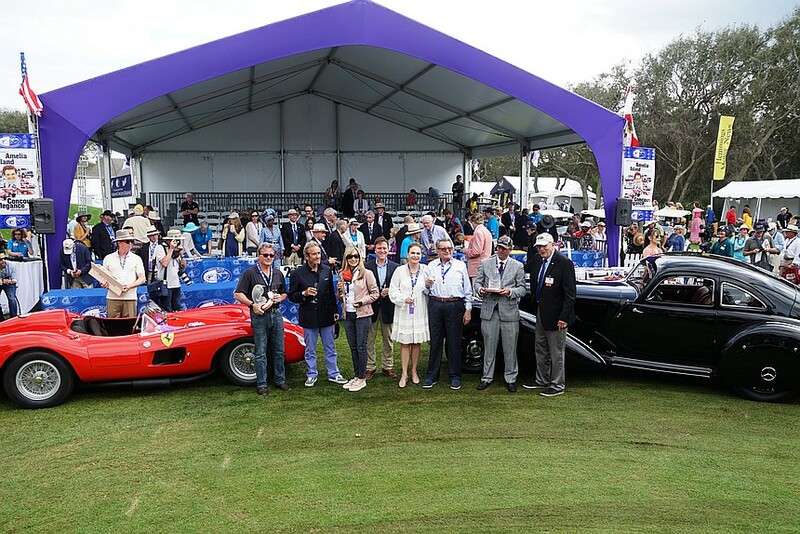 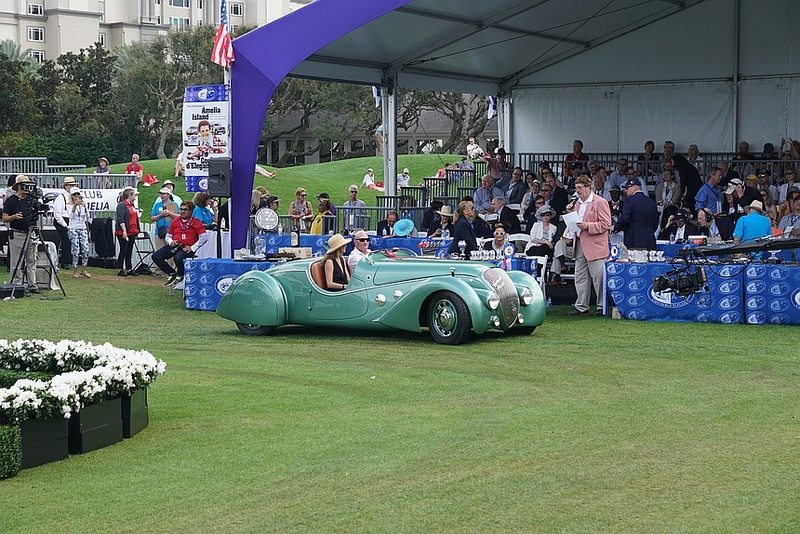 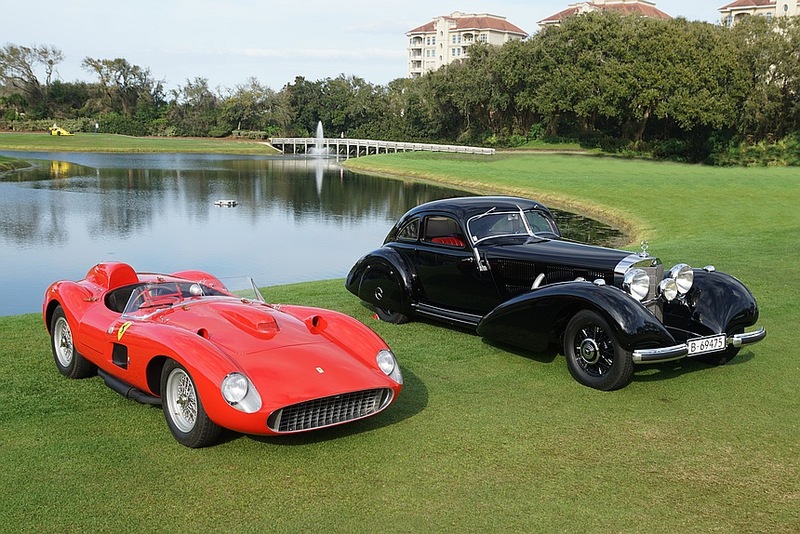 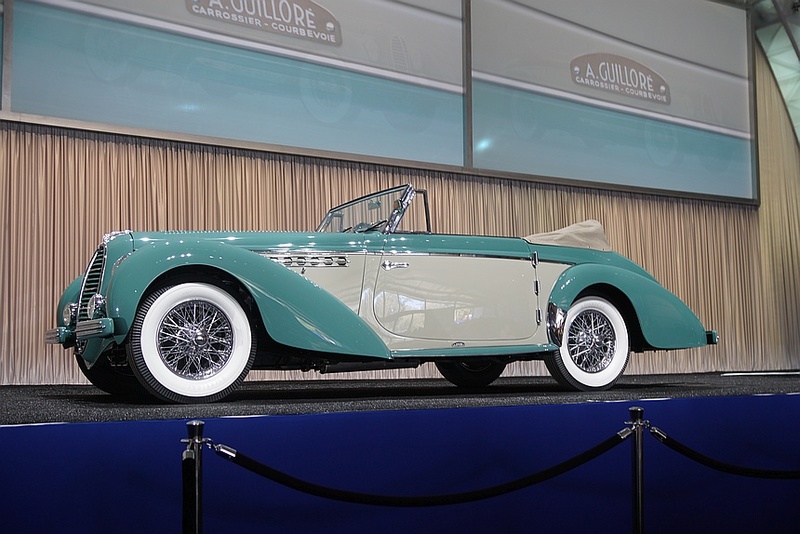 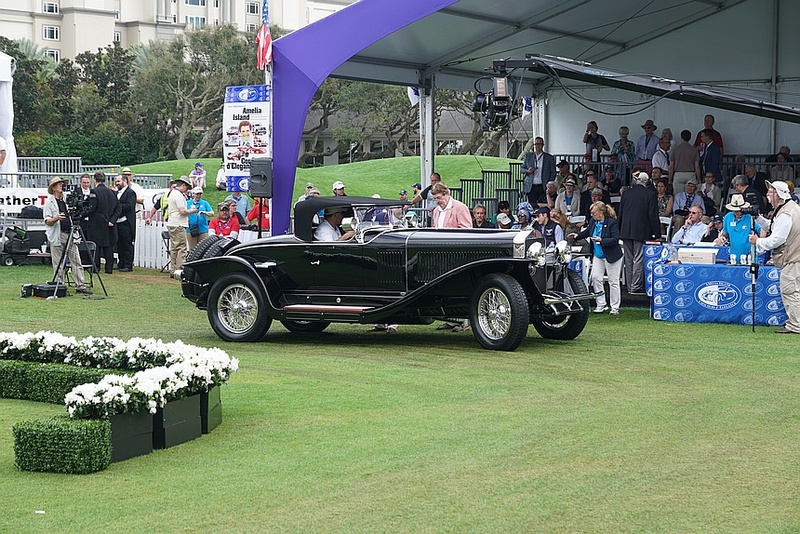 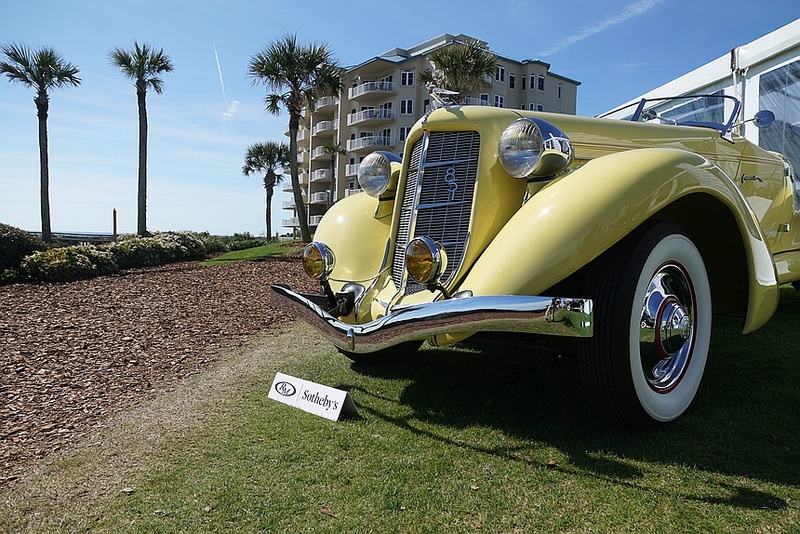 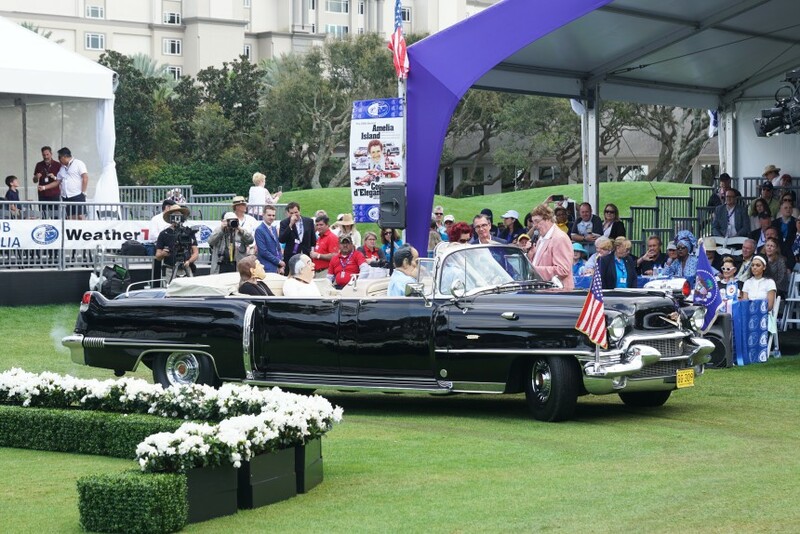 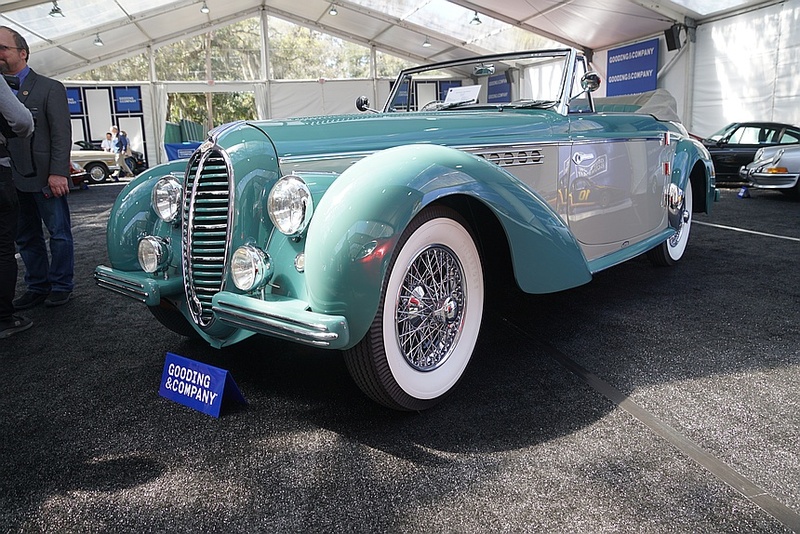 The 2019 Amelia Island Concours Best of Show winners were presented to a 1938 Mercedes-Benz 540K for the Concours d’Elegance trophy and to a 1957 Ferrari 335S for the Concours de Sport trophy. 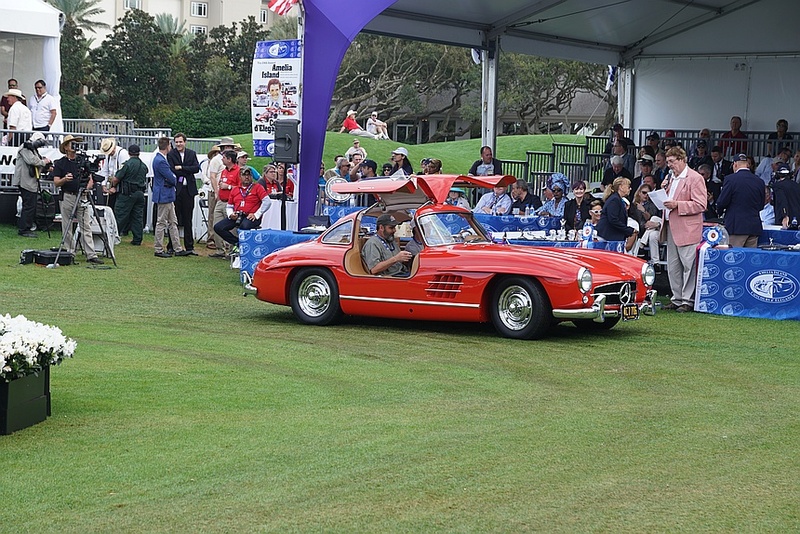 The Mercedes-Benz is from Keller Collection of Petaluma, CA and the Ferrari is owned by Cavalina Investments in Cortland, OH. 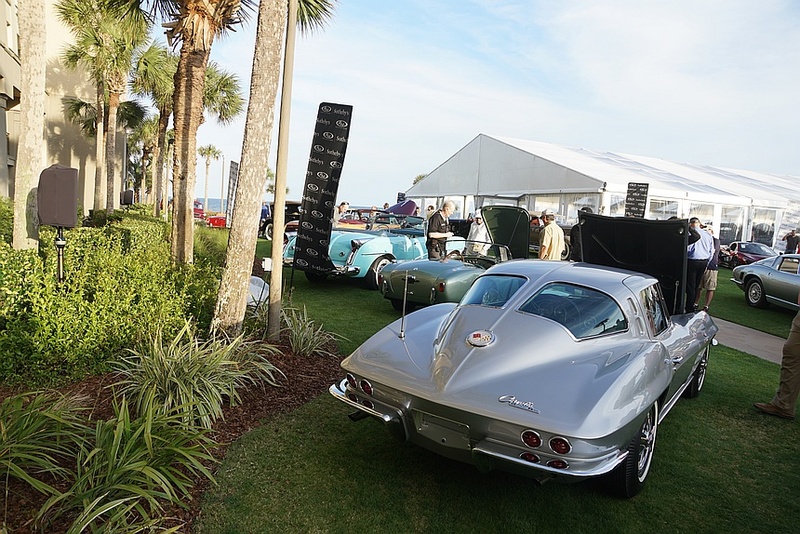 The show’s Foundation has donated over $3.45 million to Community Hospice & Palliative Care, Spina Bifida of Jacksonville and other charities on Florida’s First Coast since its inception in 1996. 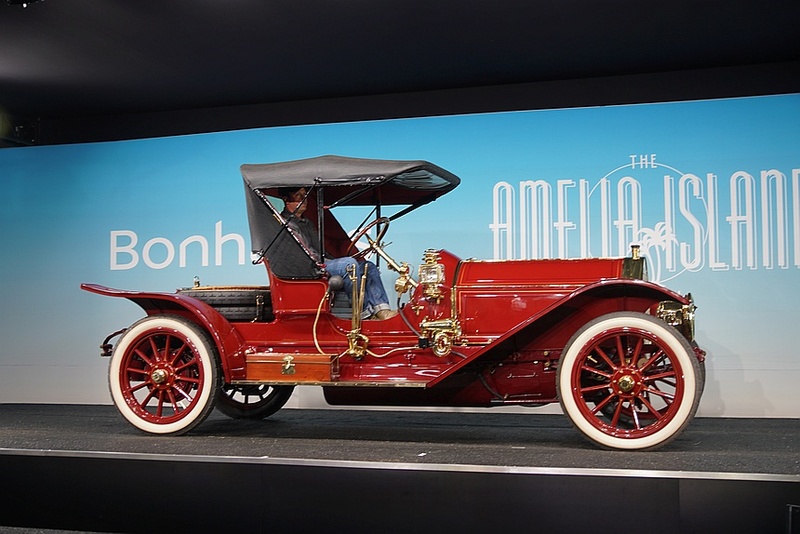 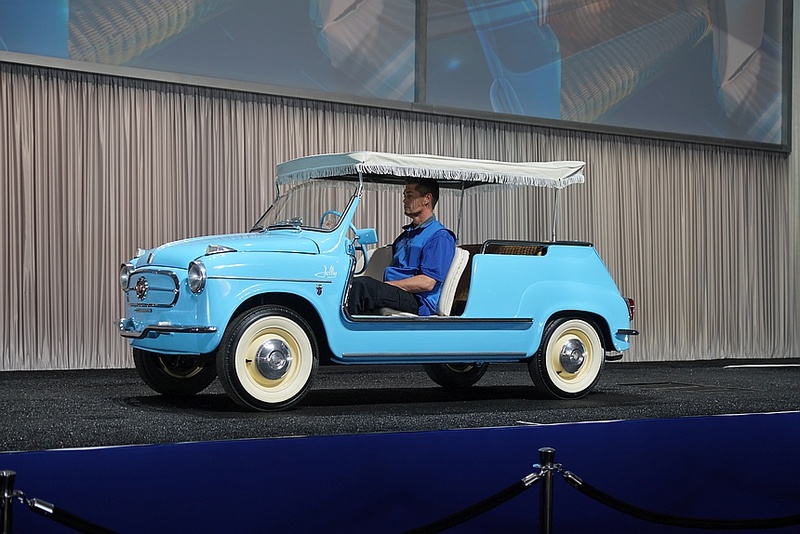 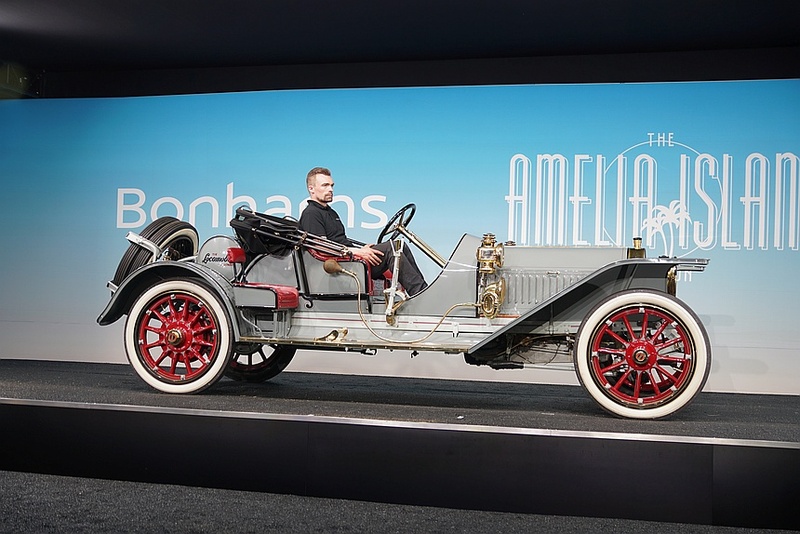 Look out 2020, when ‘The Amelia’ turns 25! 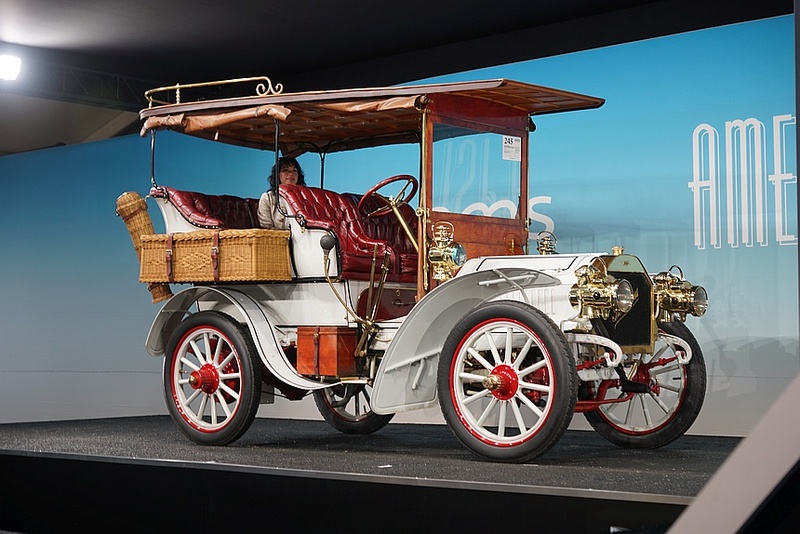 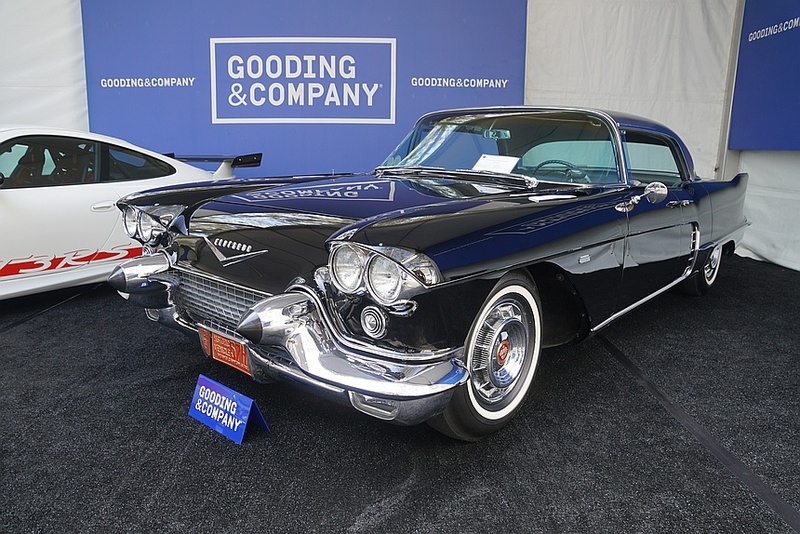 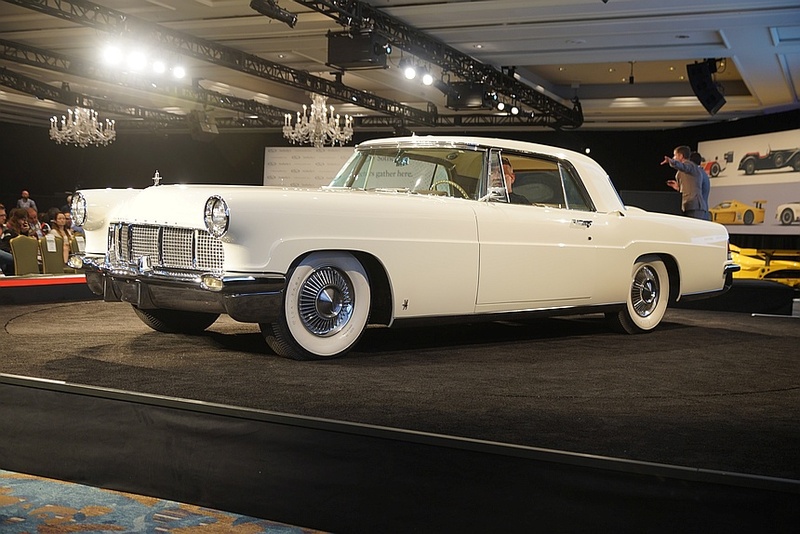 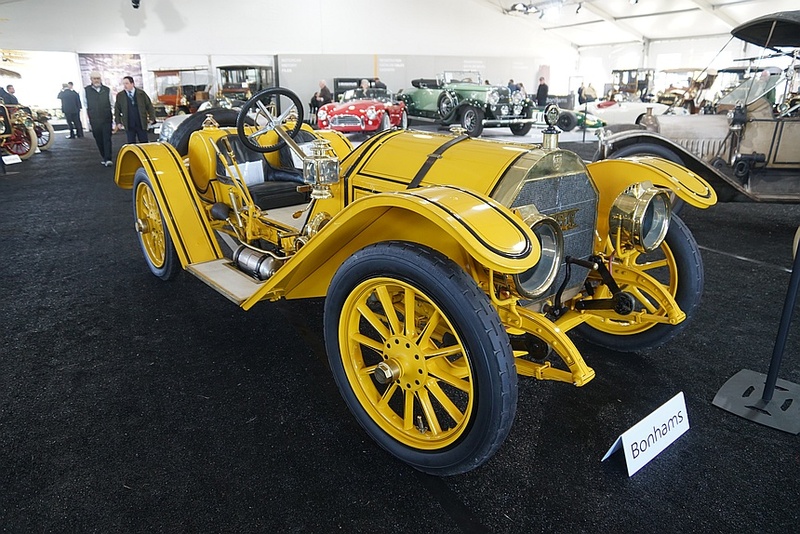 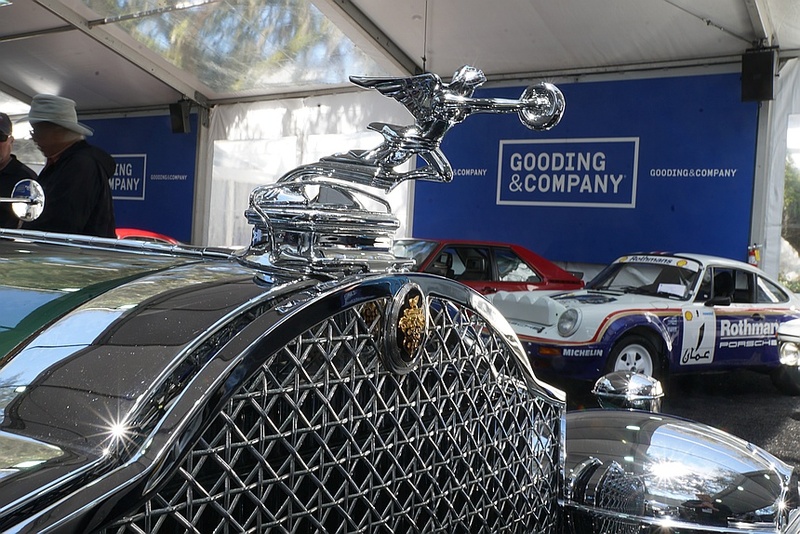 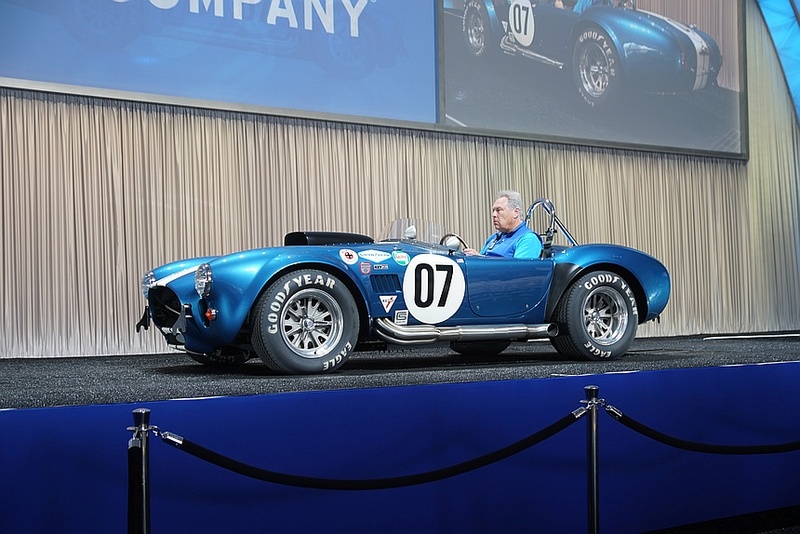 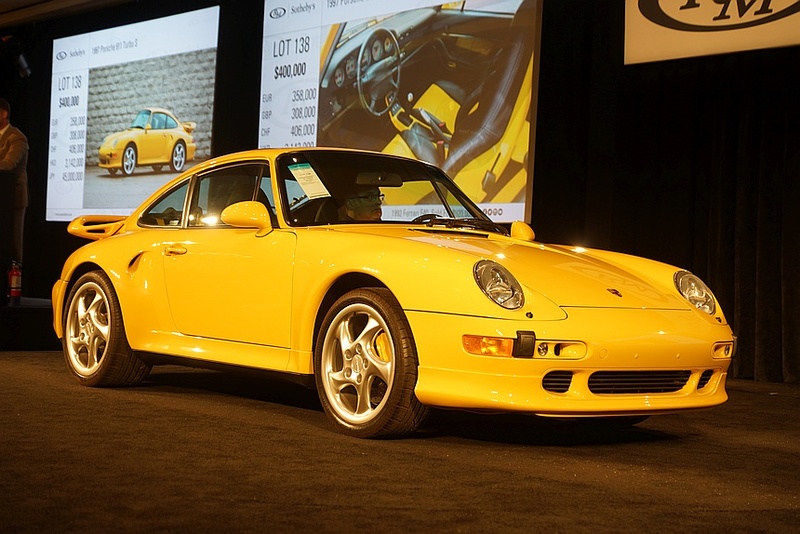 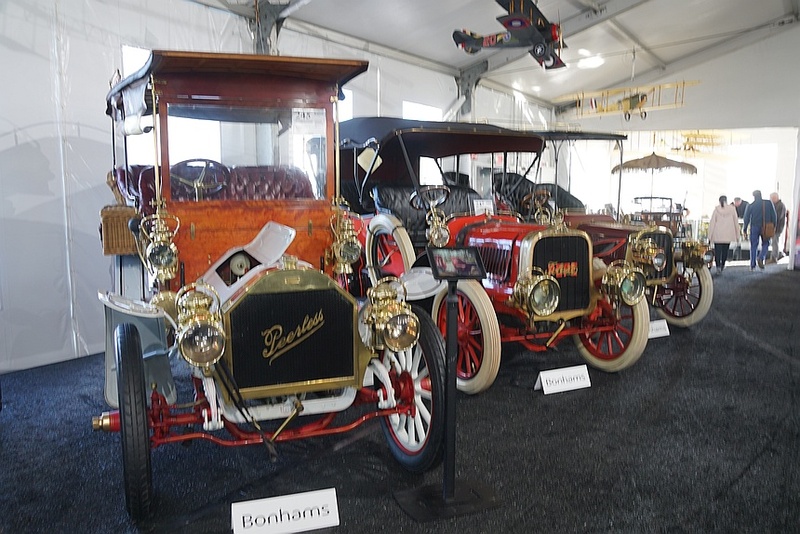 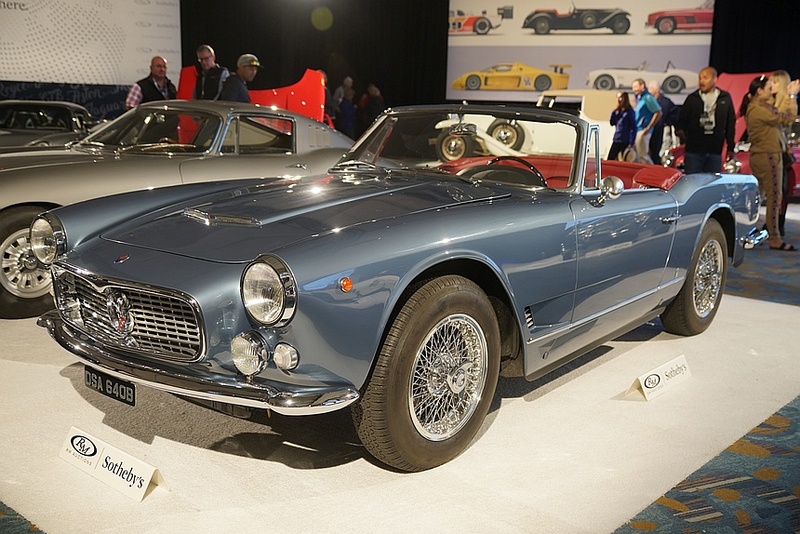 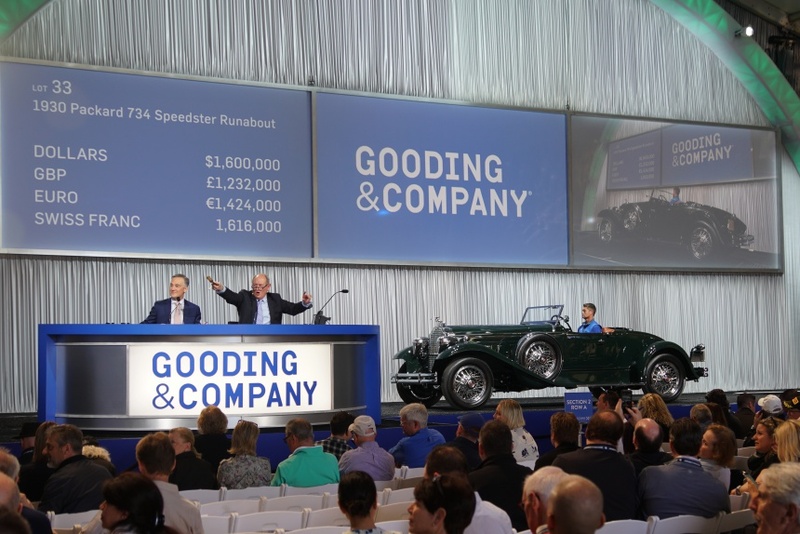 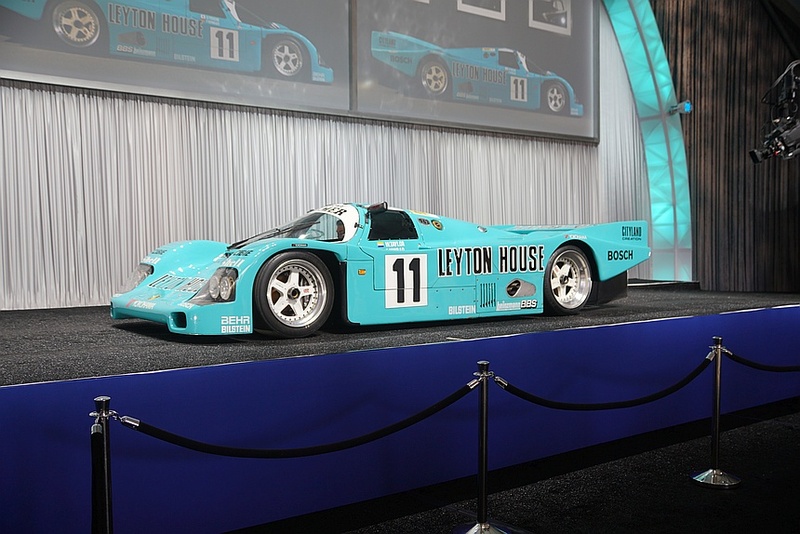 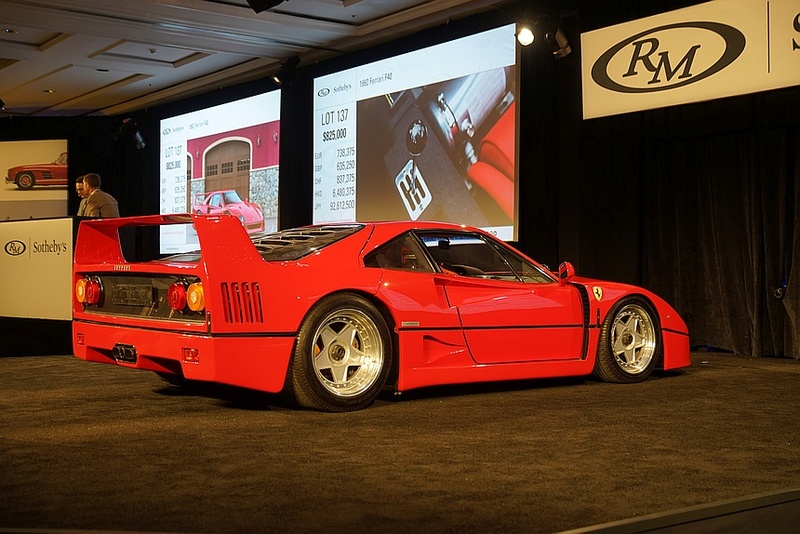 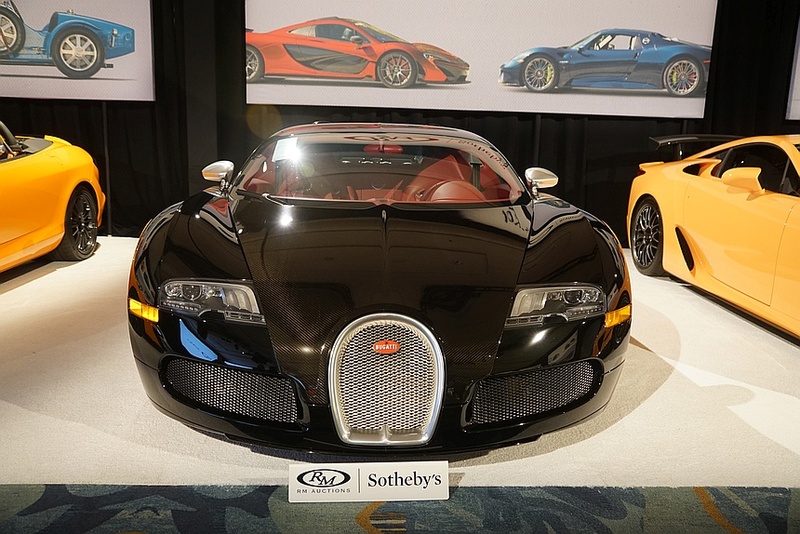 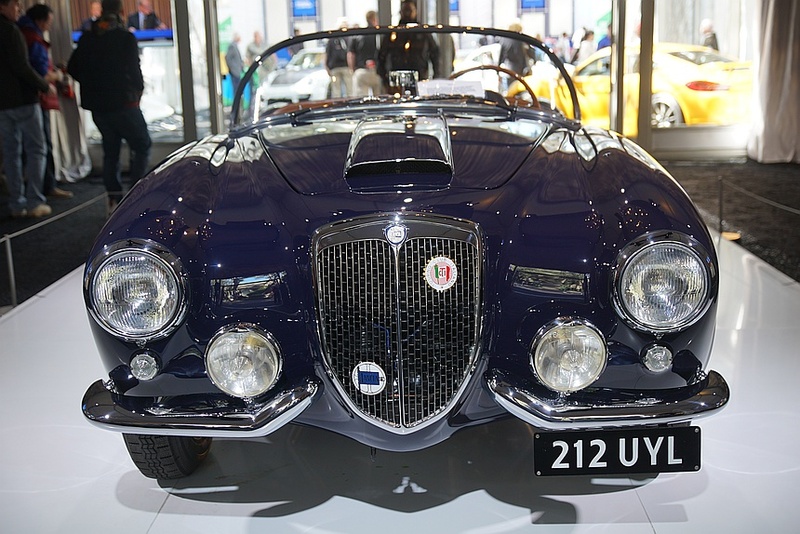 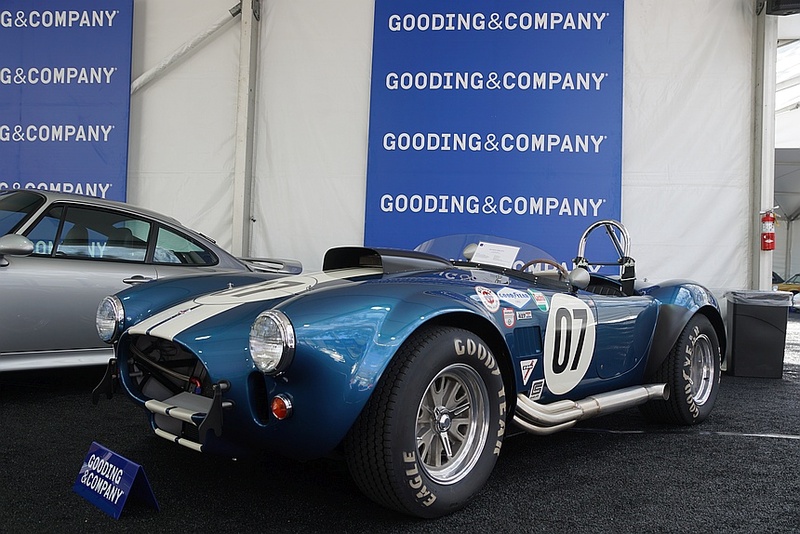 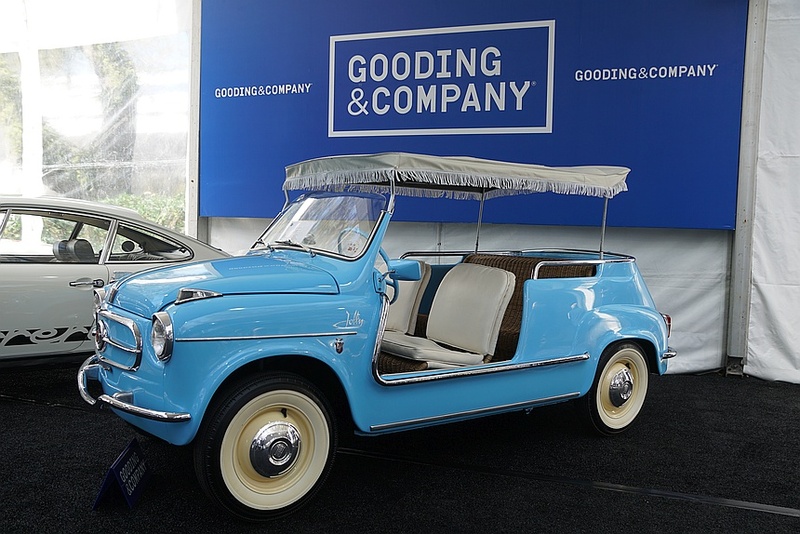 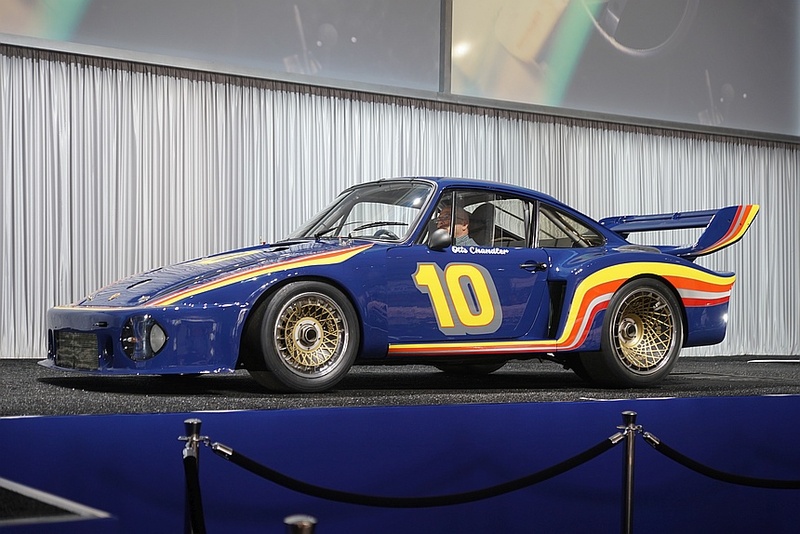 For those that weren’t satisfied with “just looking,” there were plenty of shopping opportunities offered by four of the big classic car auction companies: RM Sotheby’s, the official auction house of the Concours; Goodings & Company; Bonhams; and Russo & Steele.